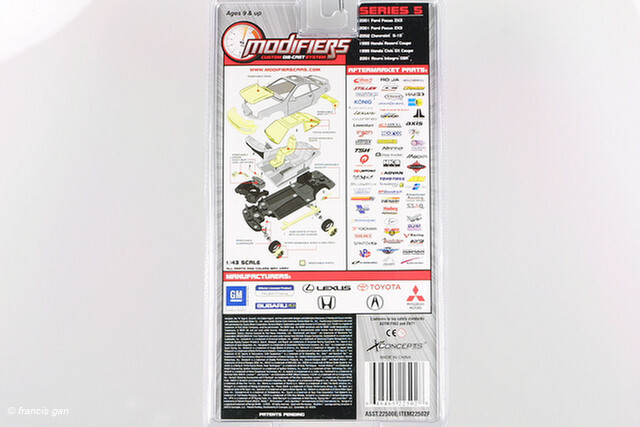 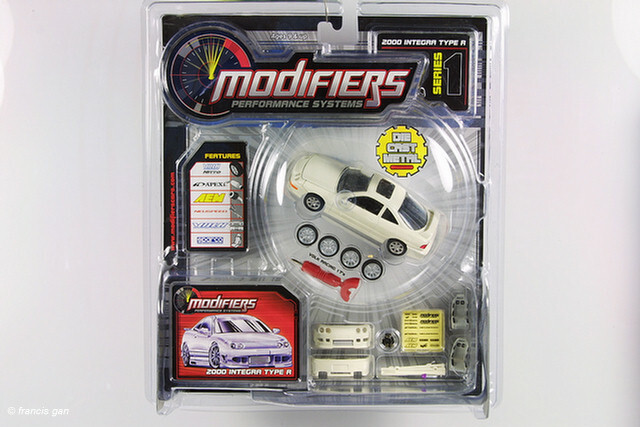 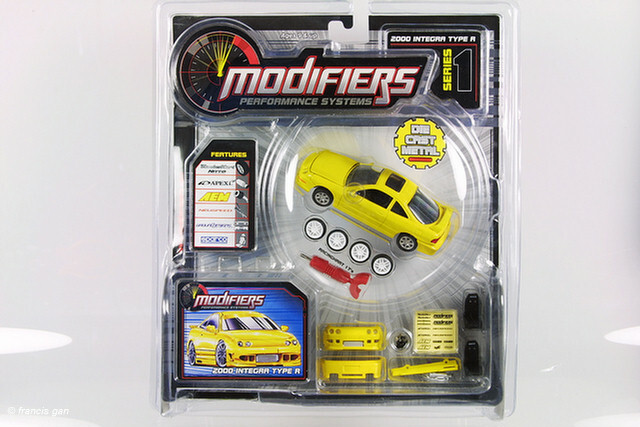 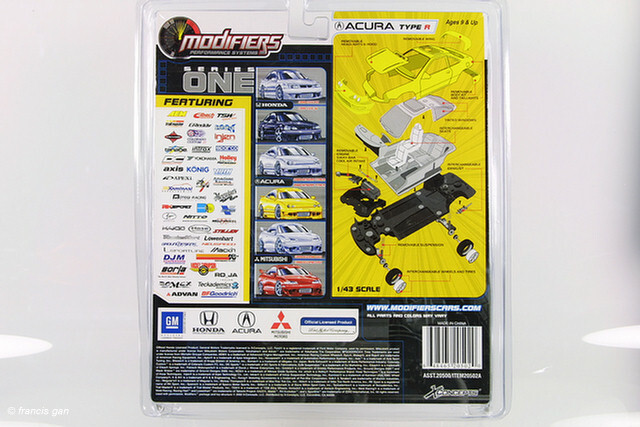 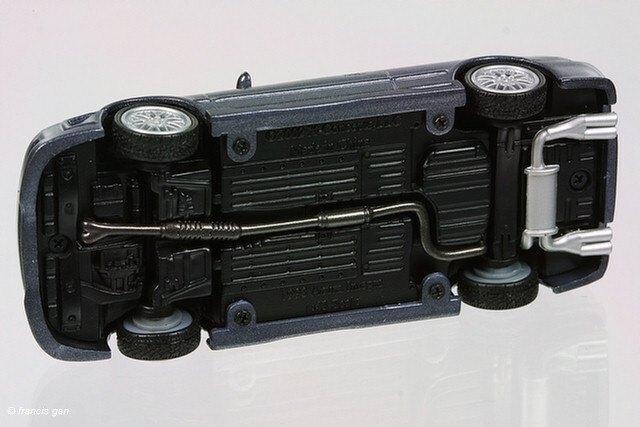 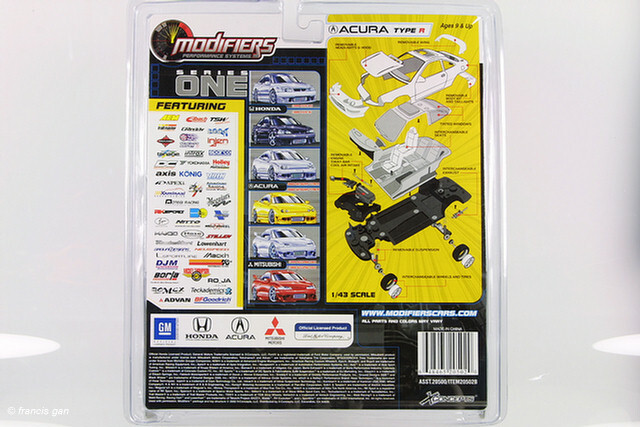 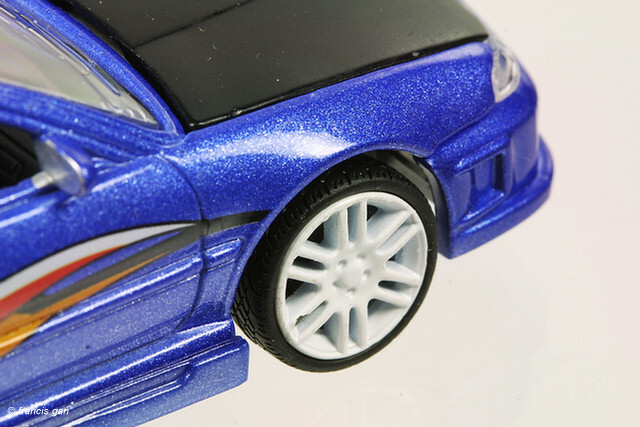 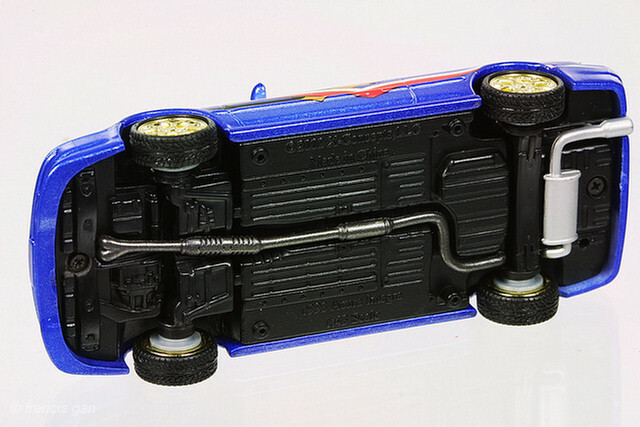 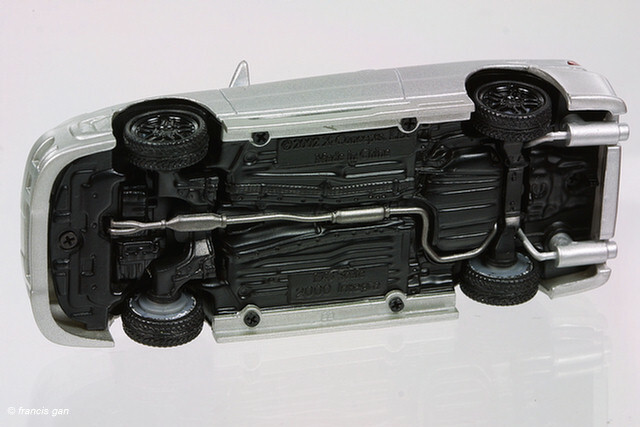 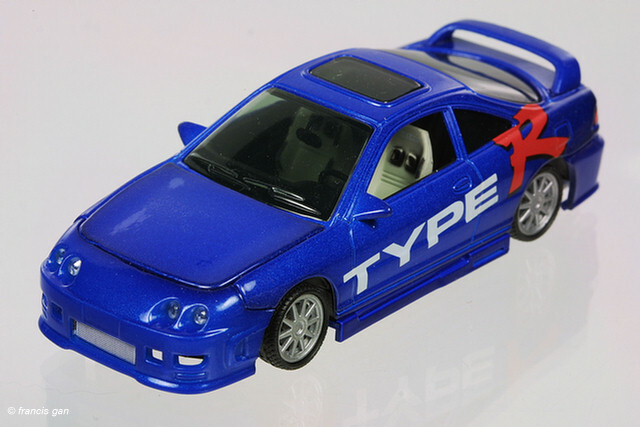 The 1:43 Modifier Integras came in LS, GS-R and Type R form in various colors and wheel designs. 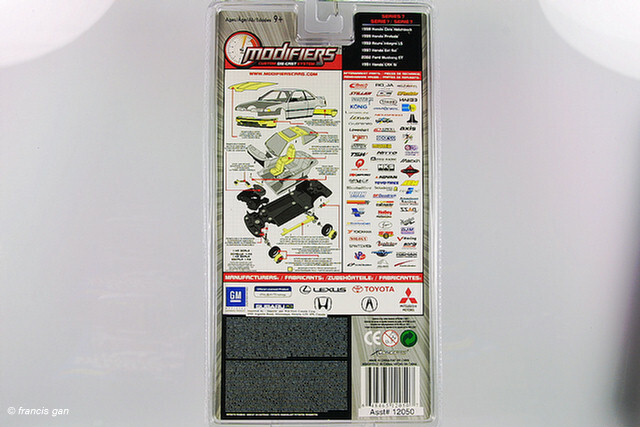 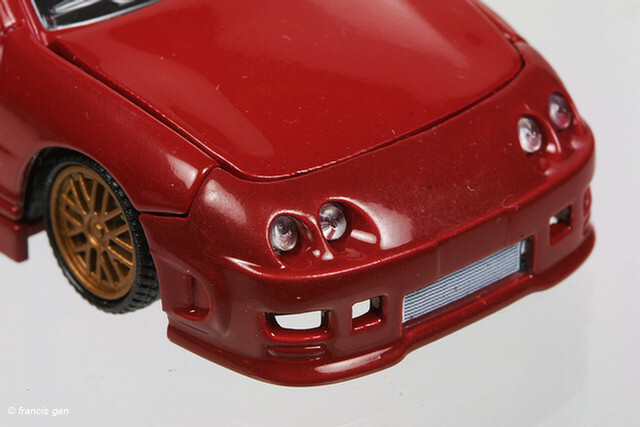 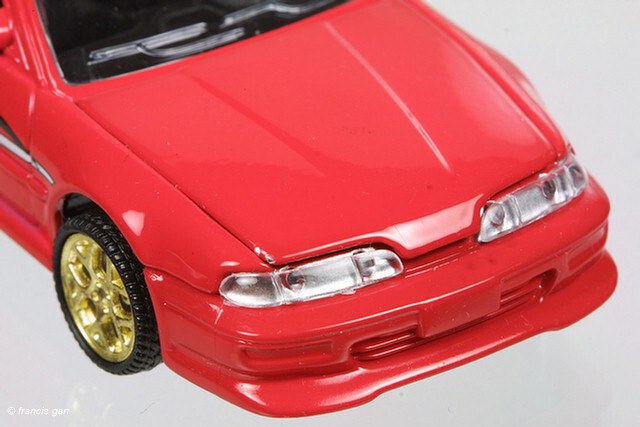 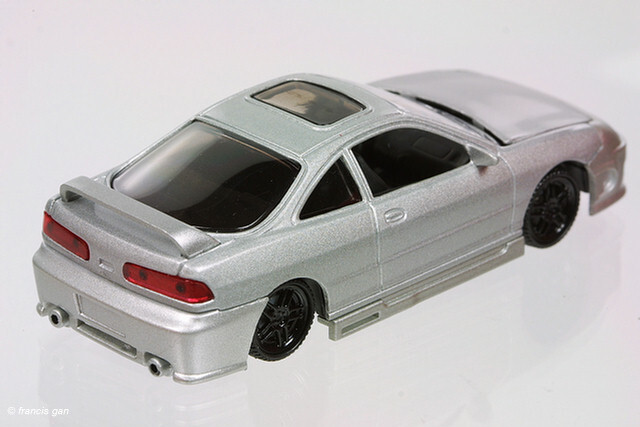 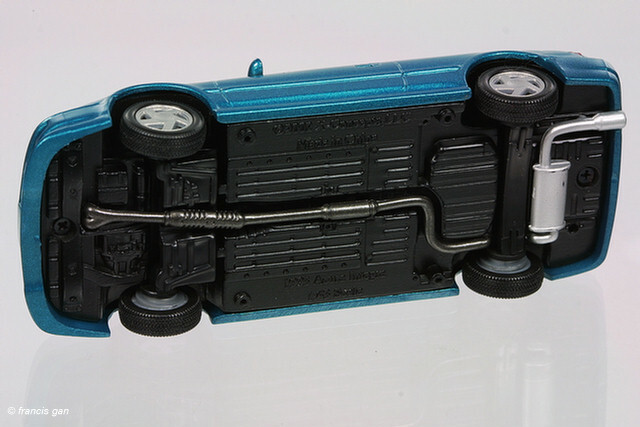 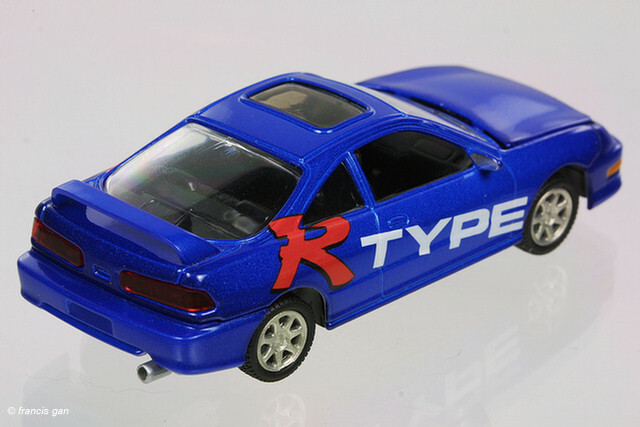 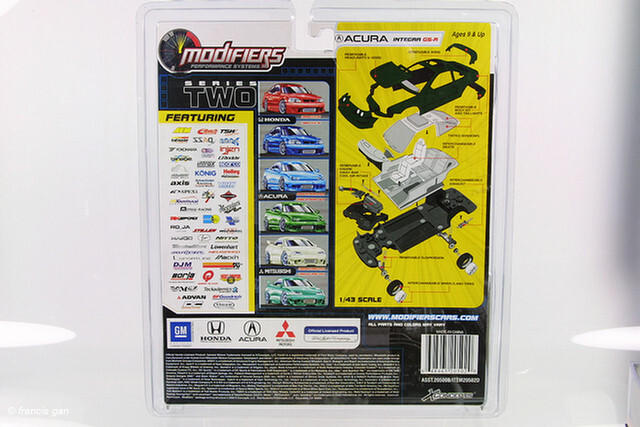 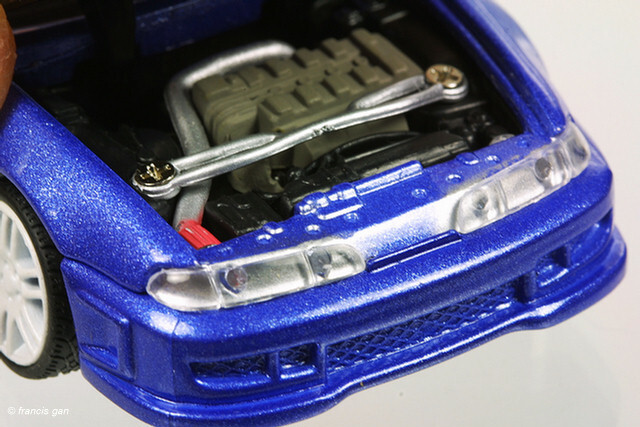 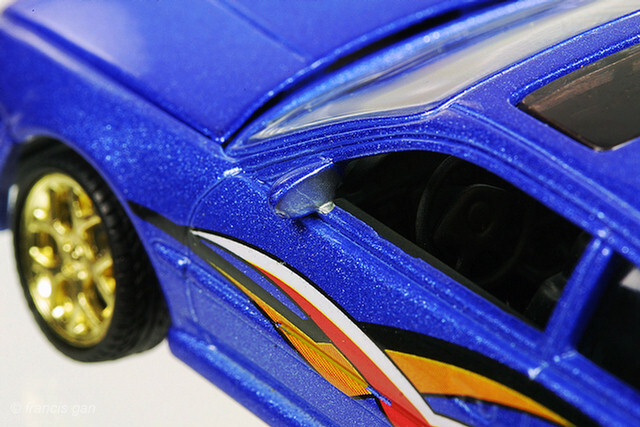 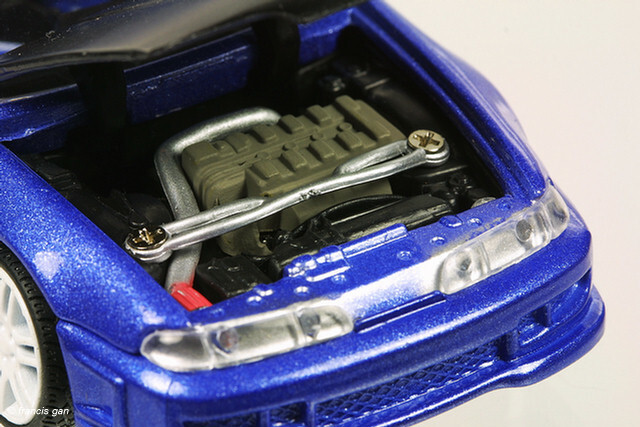 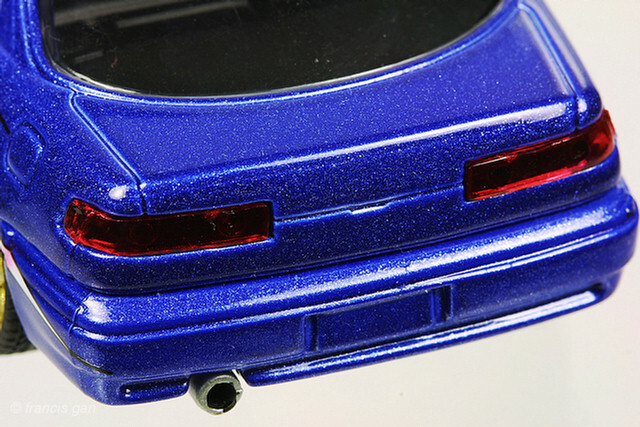 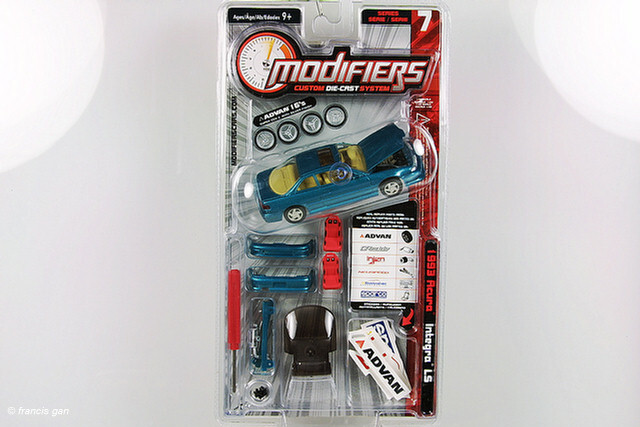 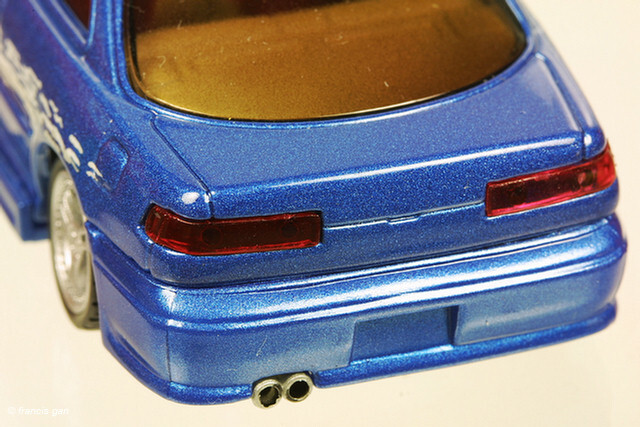 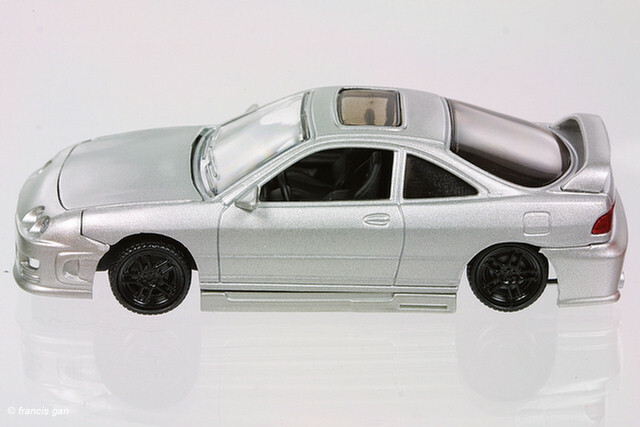 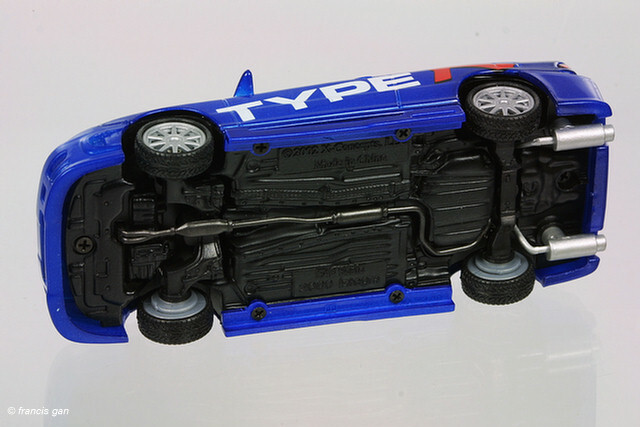 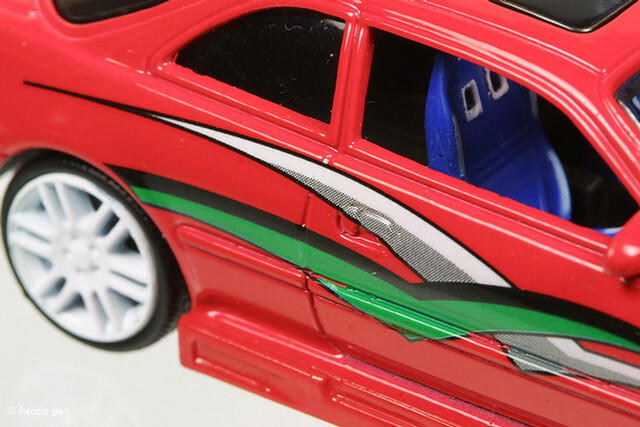 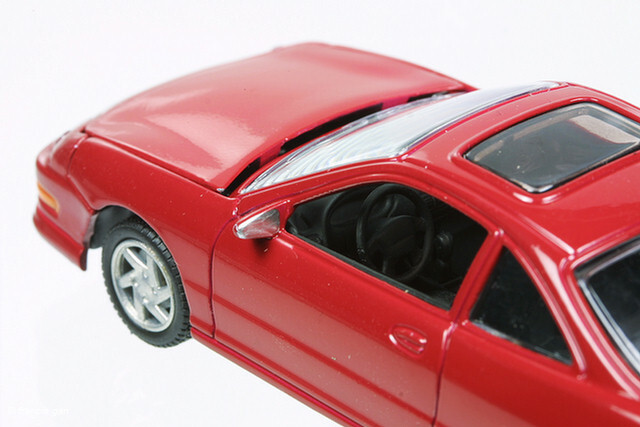 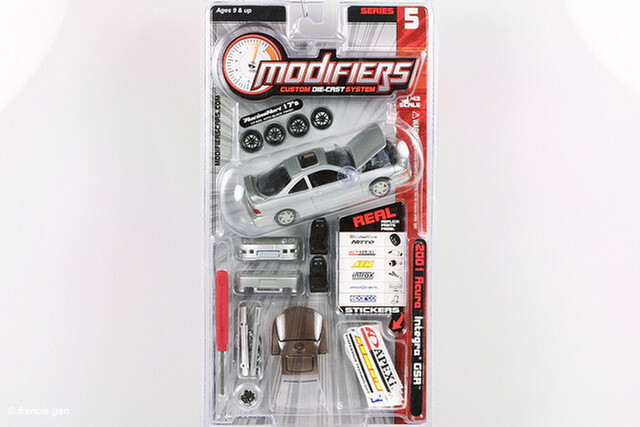 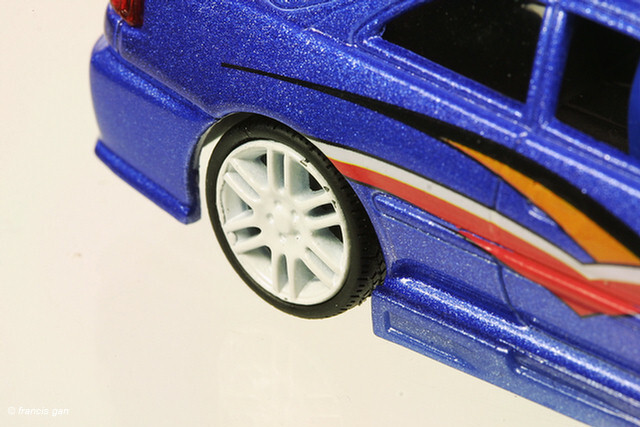 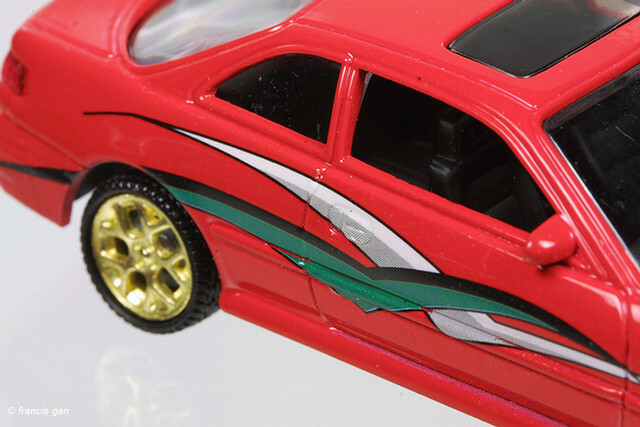 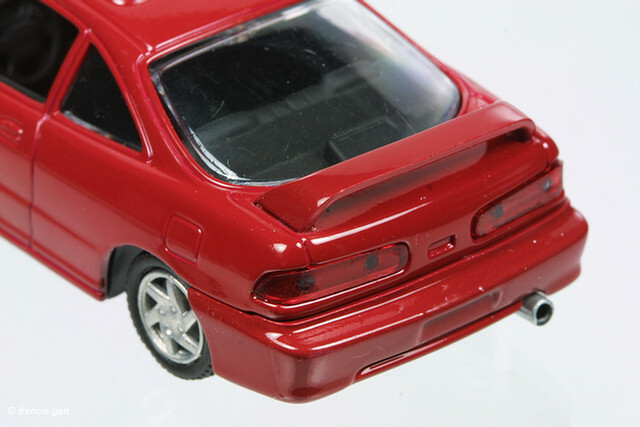 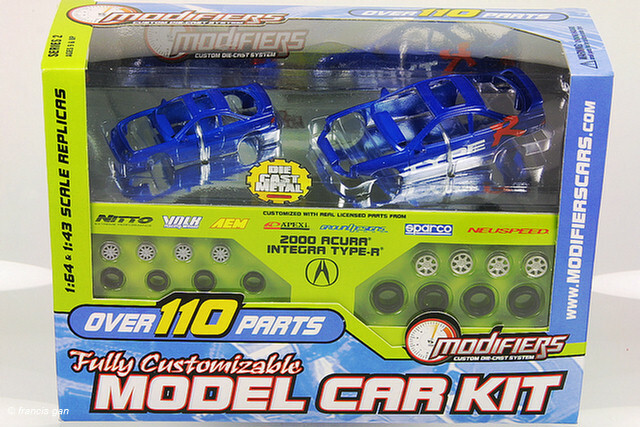 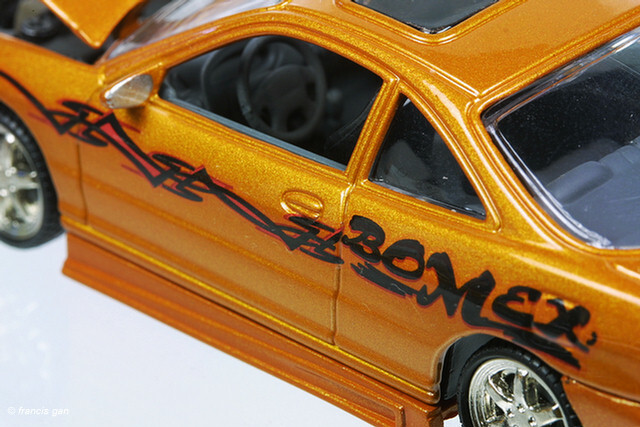 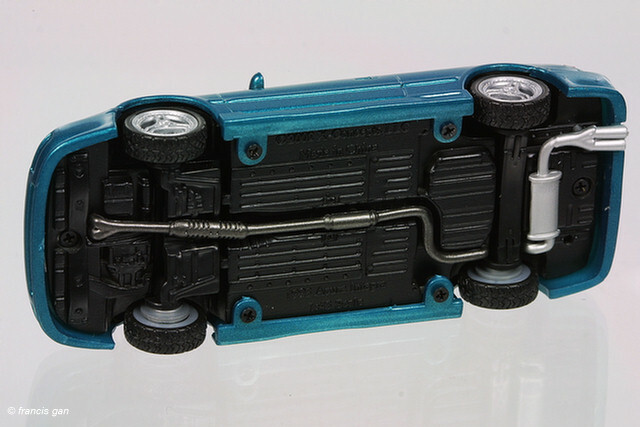 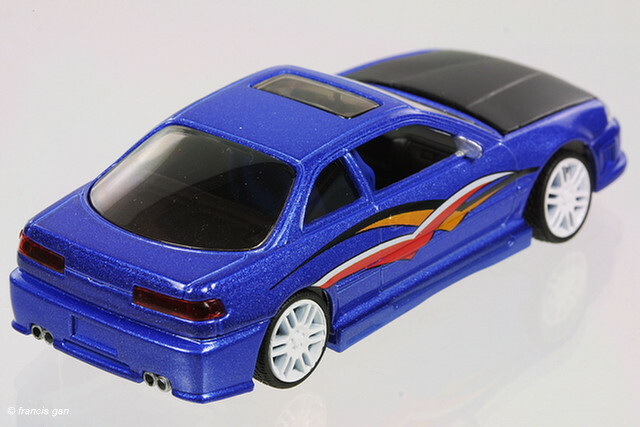 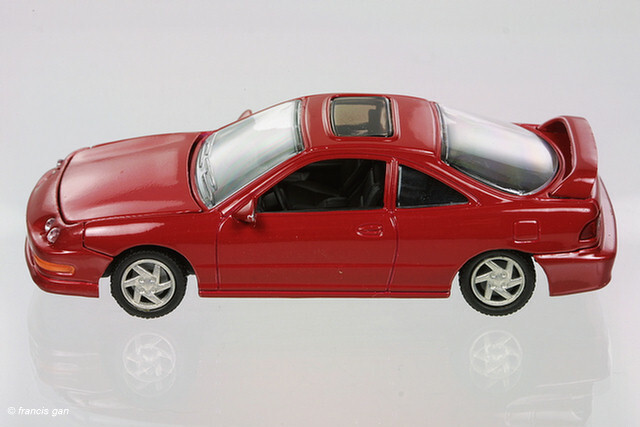 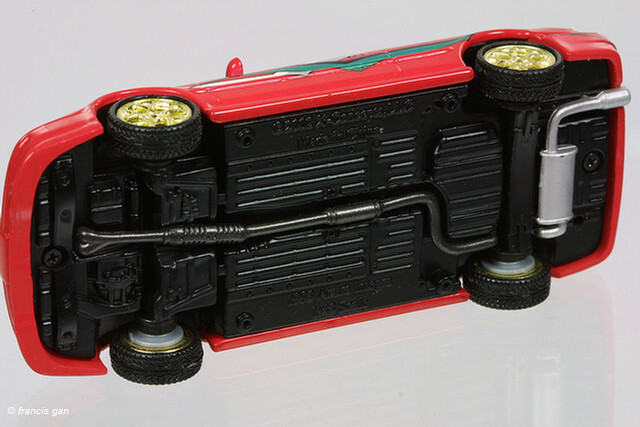 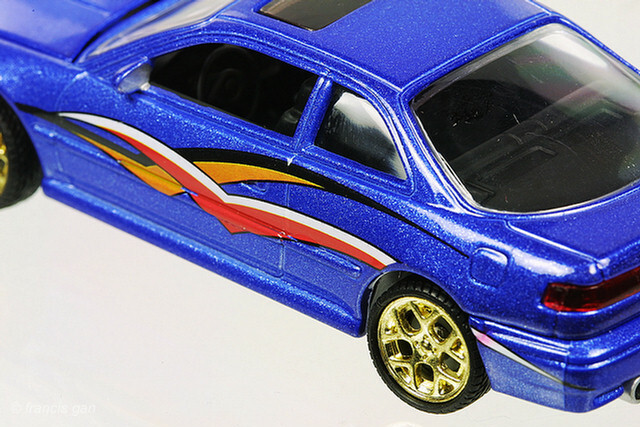 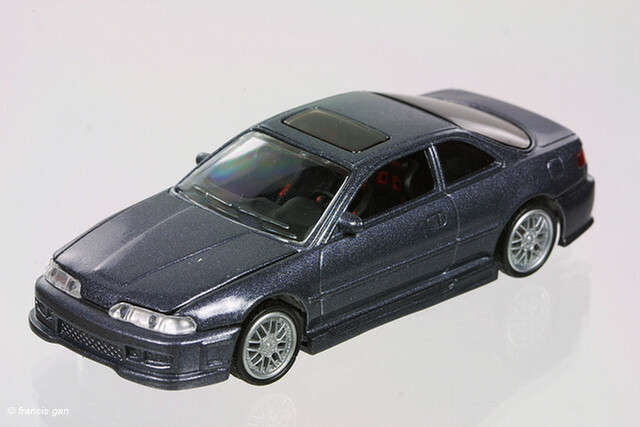 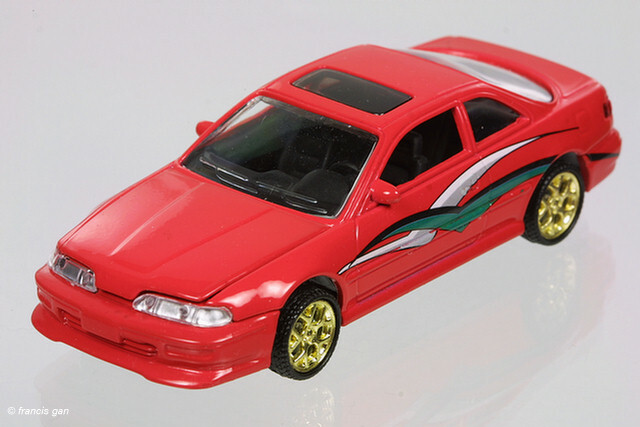 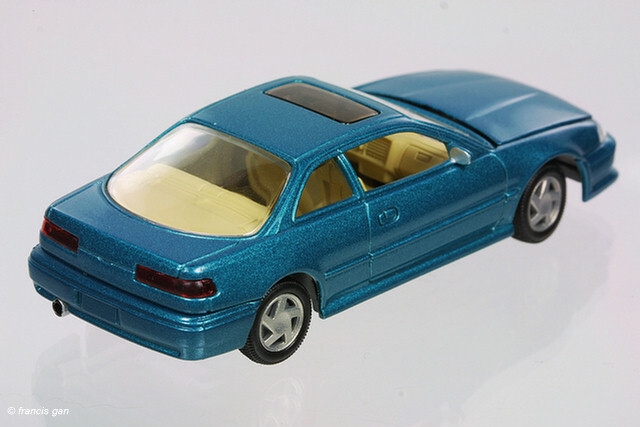 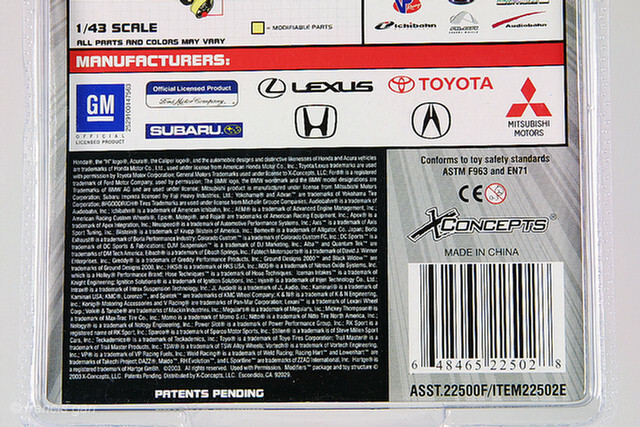 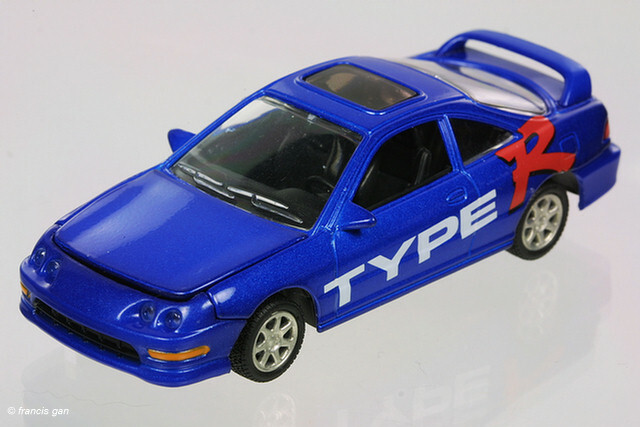 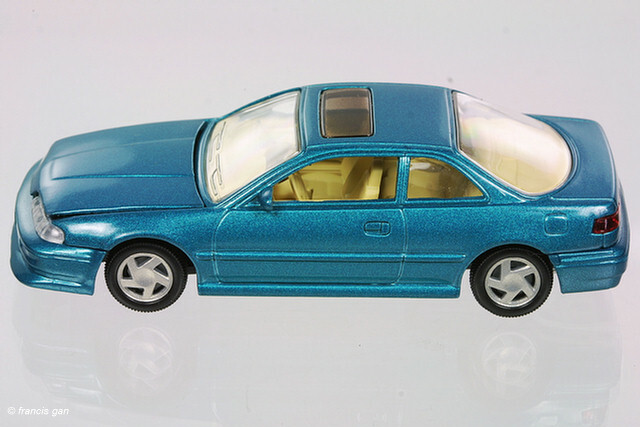 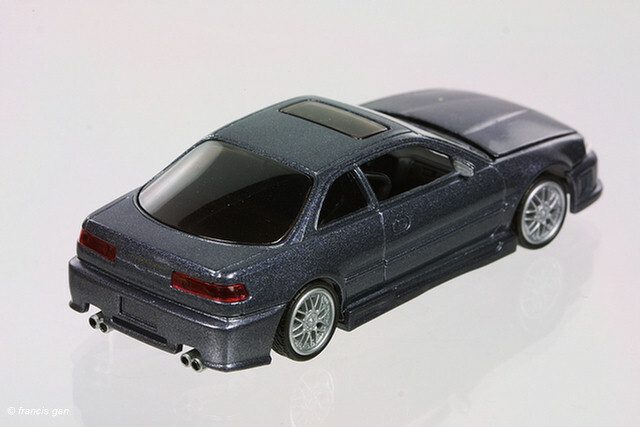 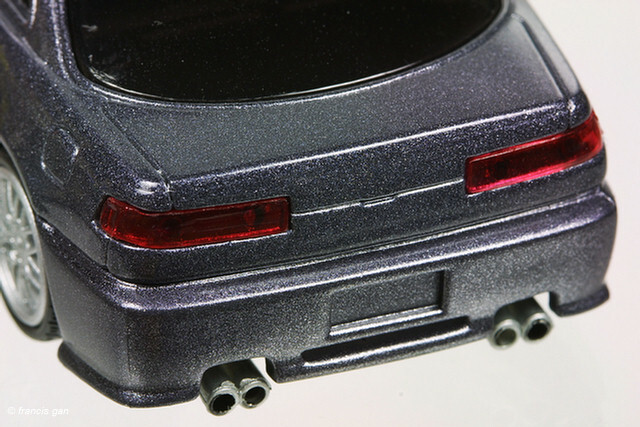 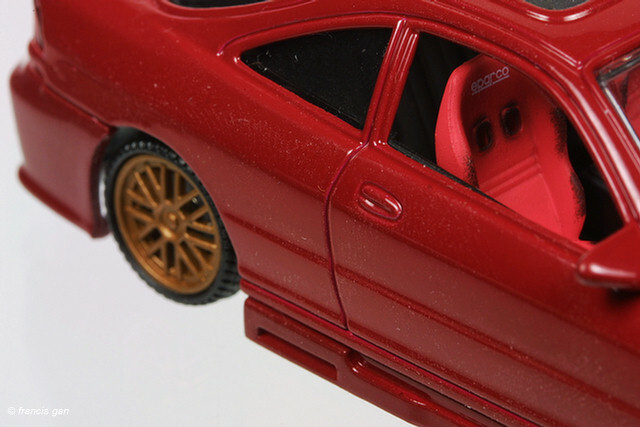 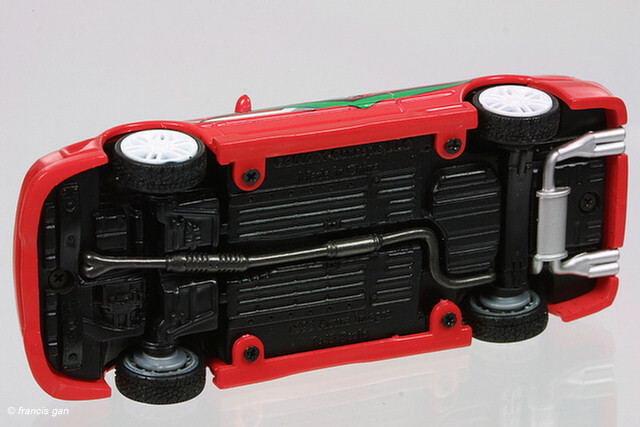 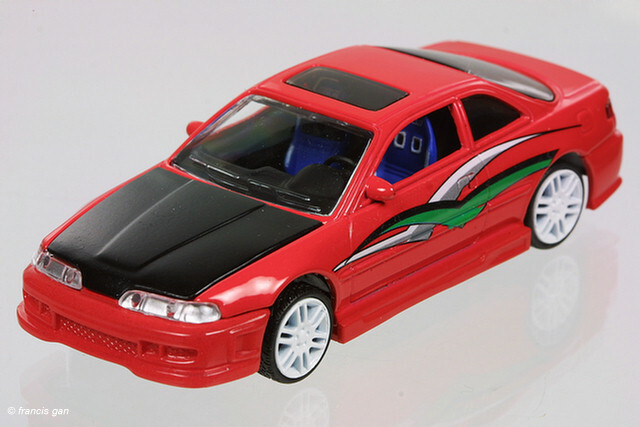 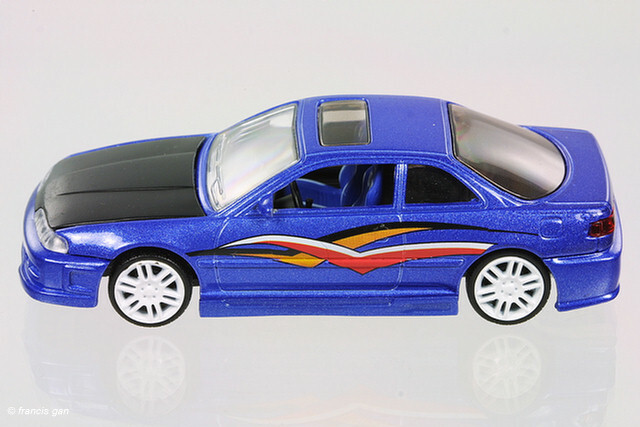 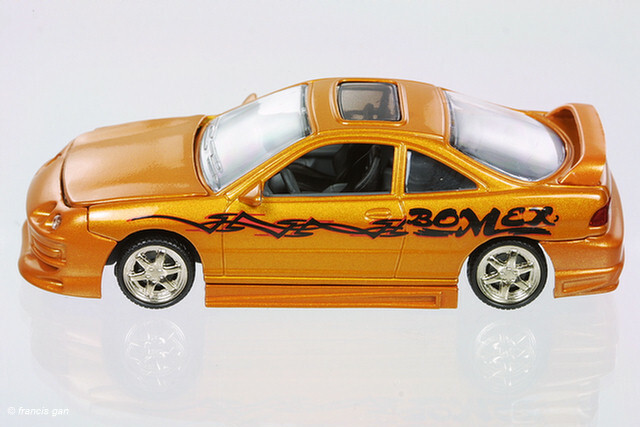 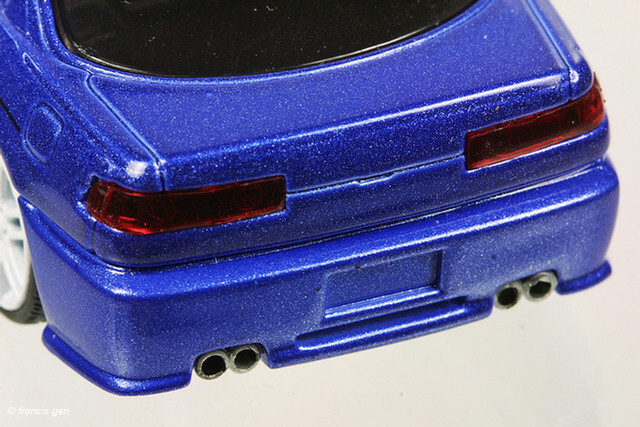 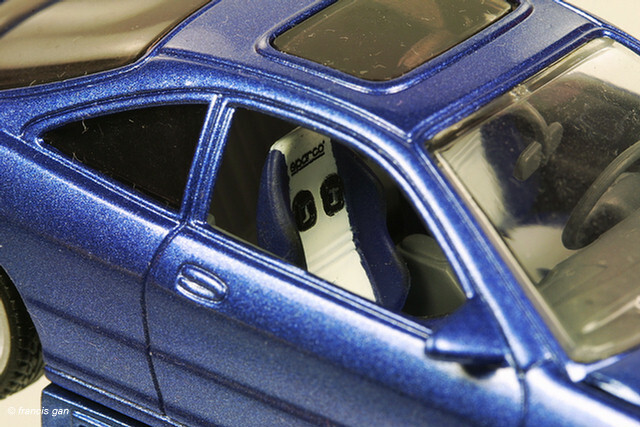 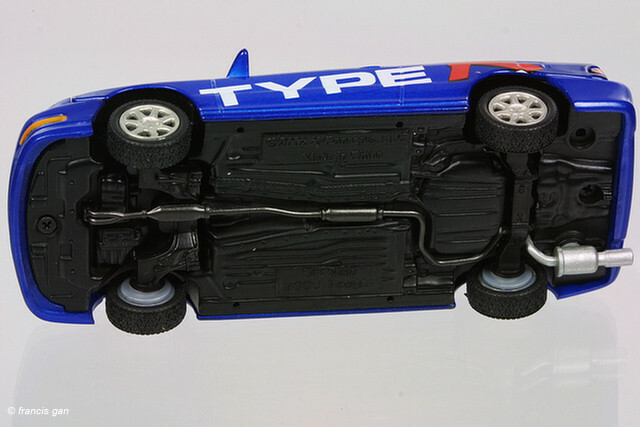 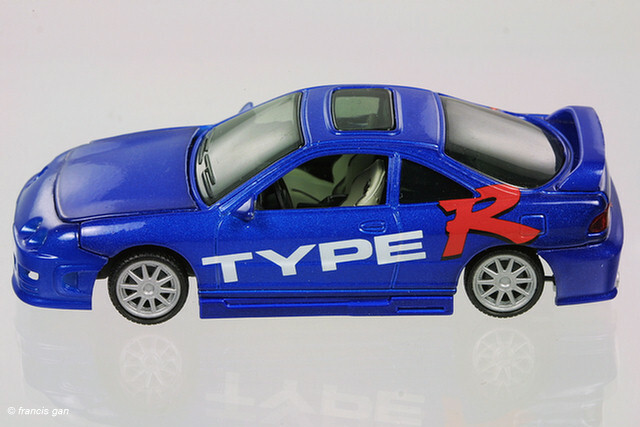 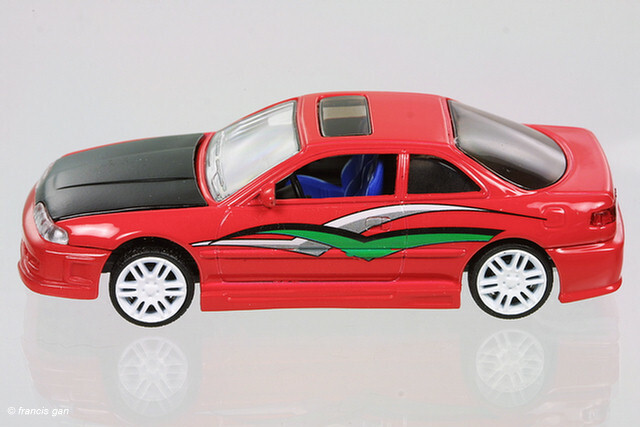 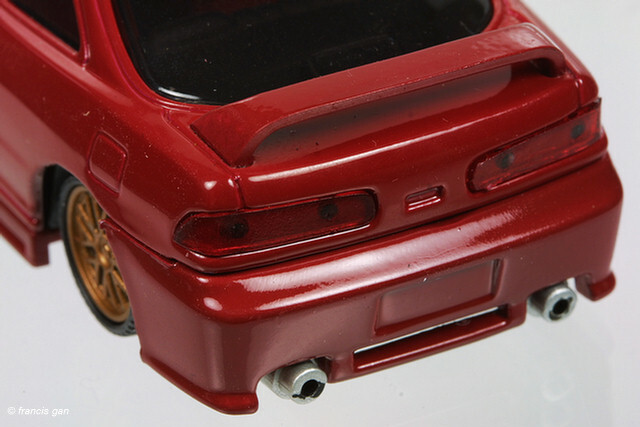 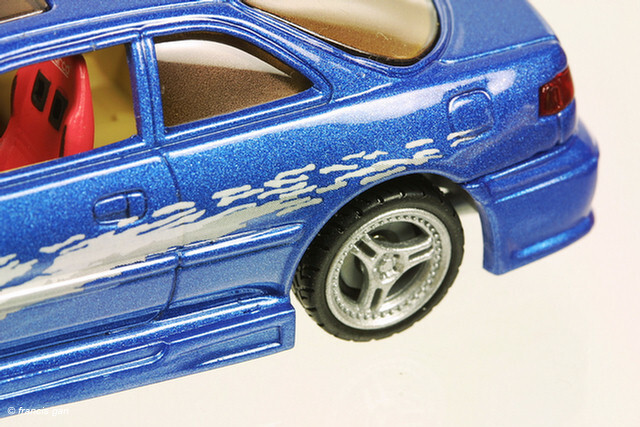 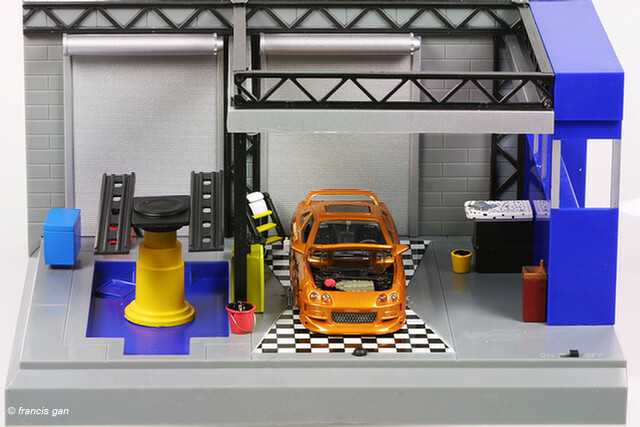 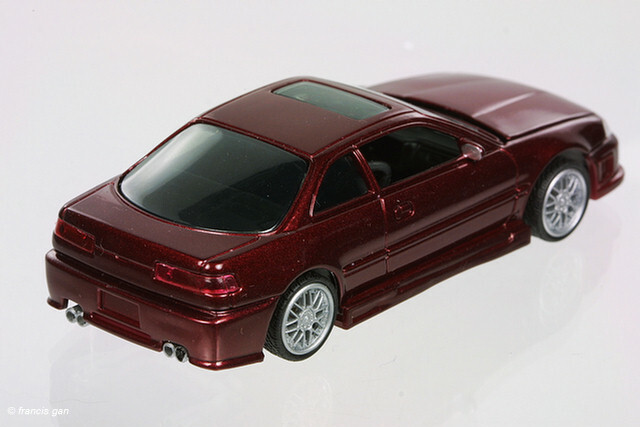 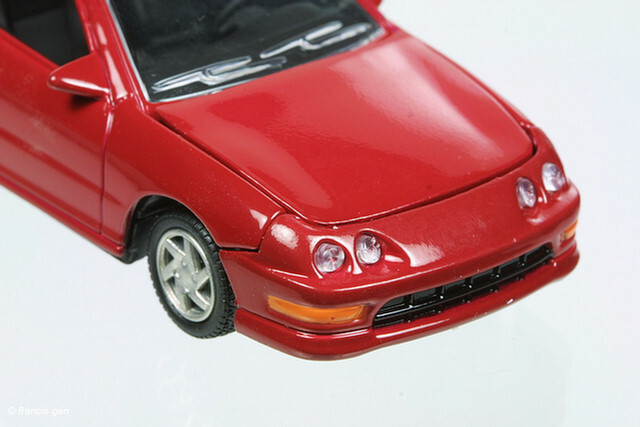 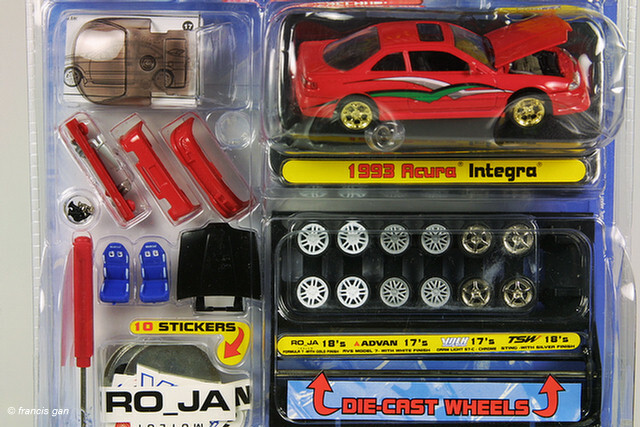 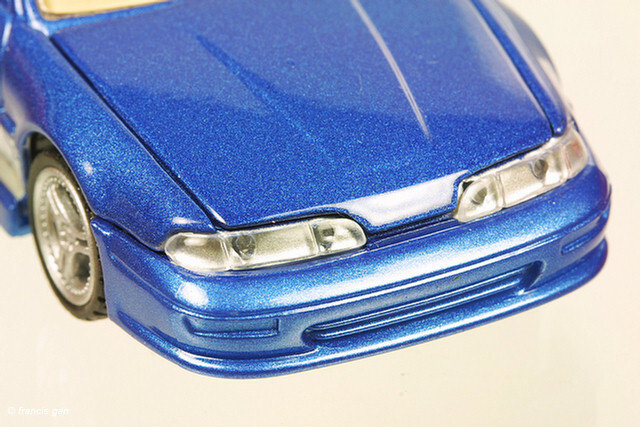 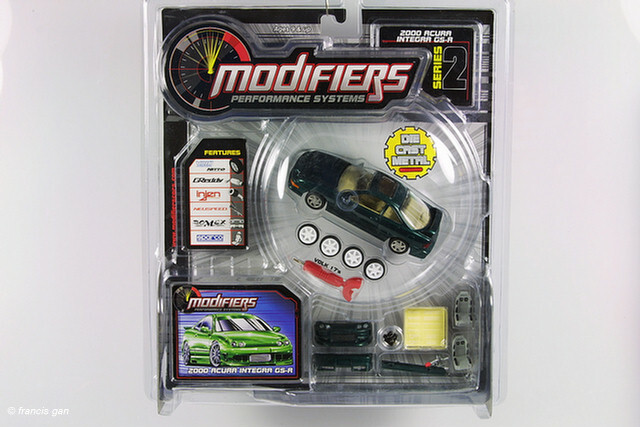 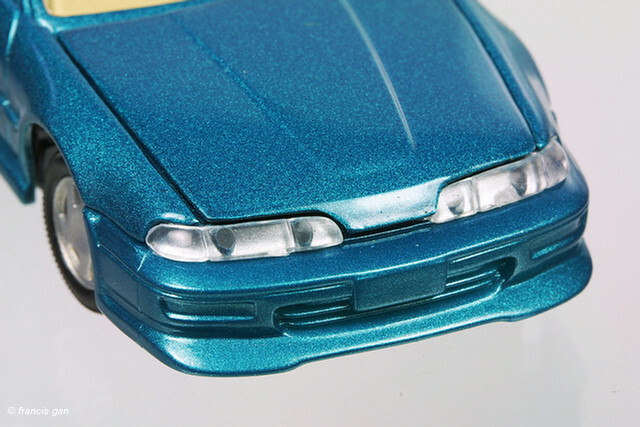 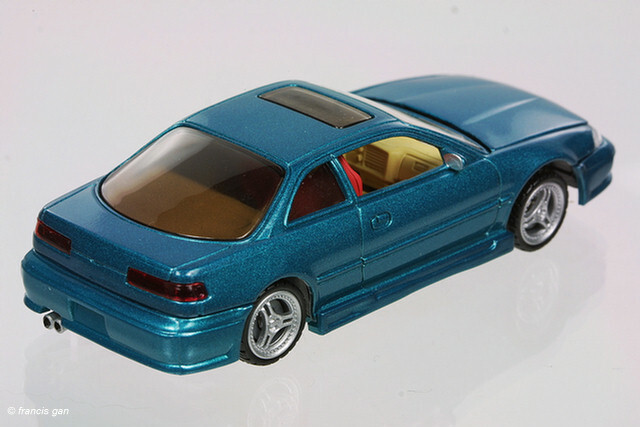 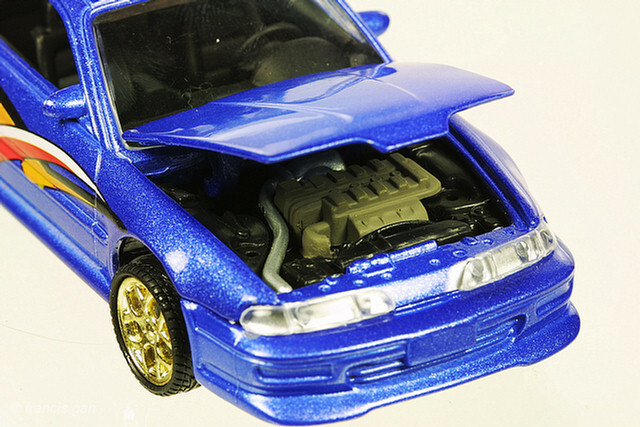 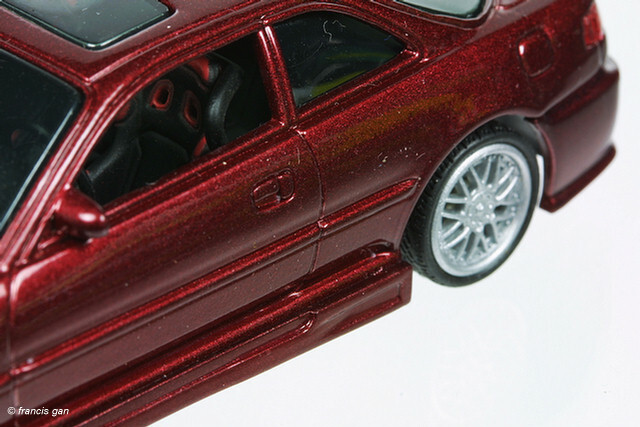 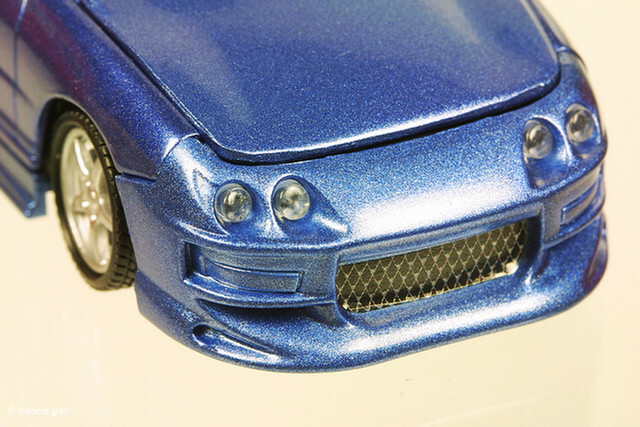 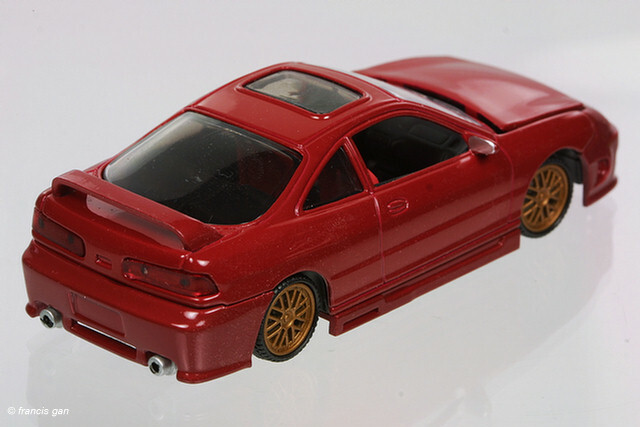 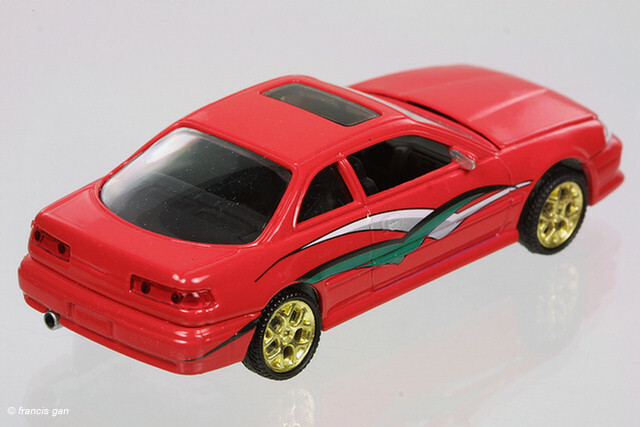 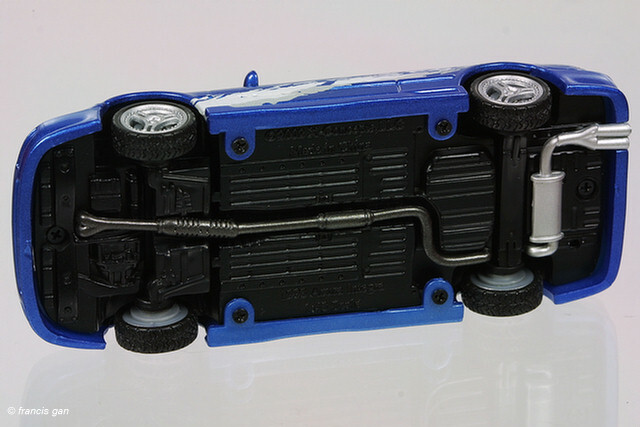 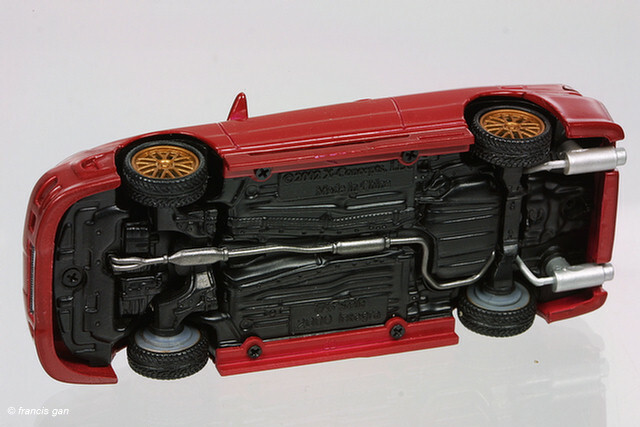 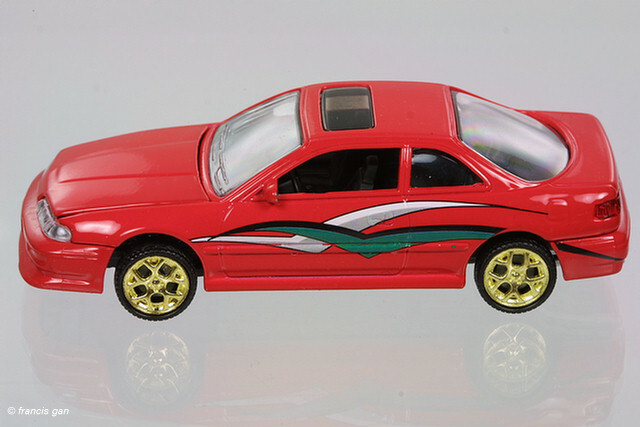 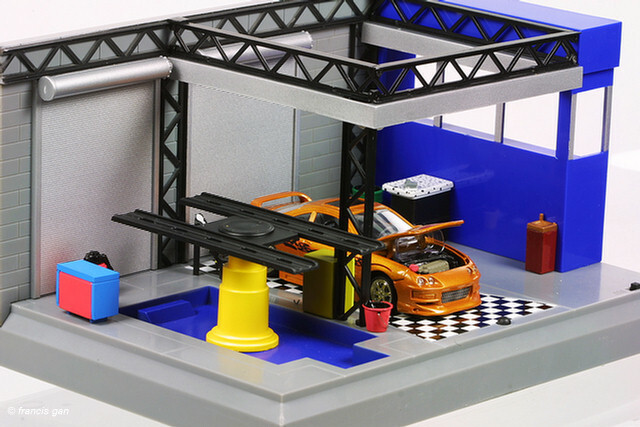 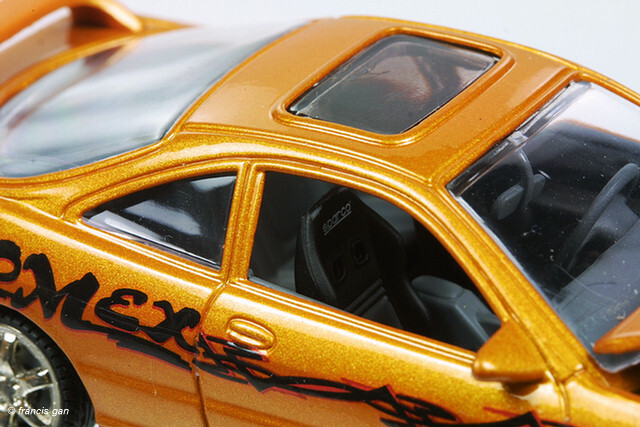 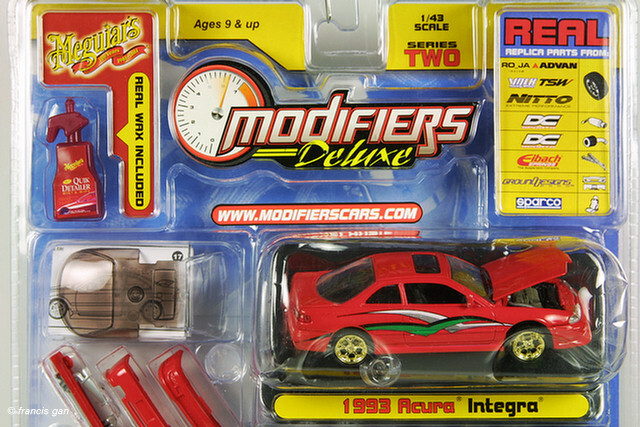 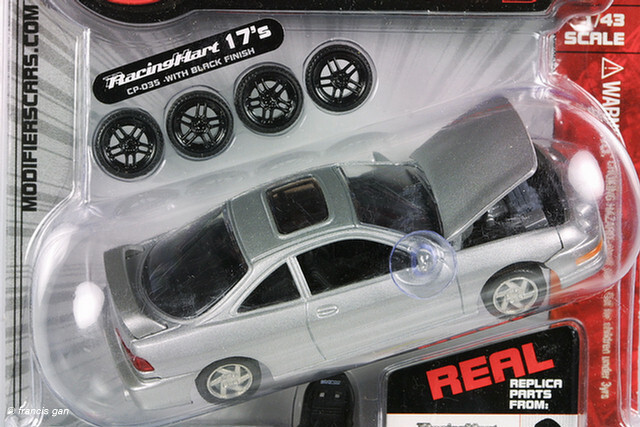 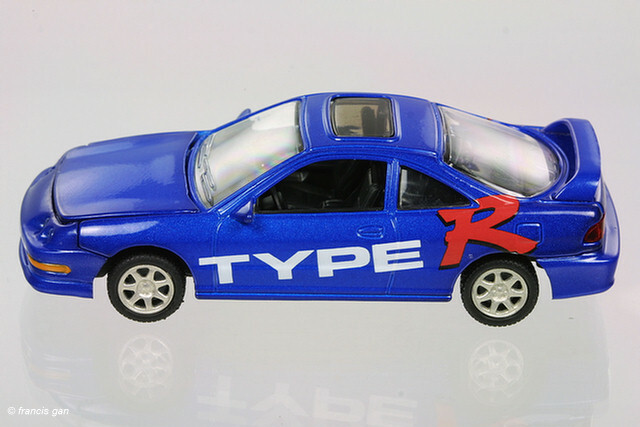 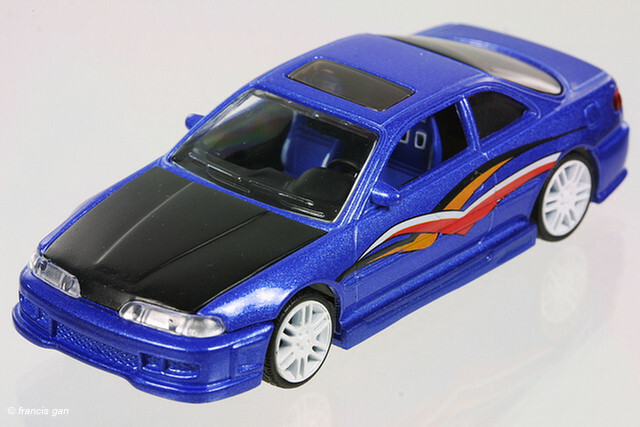 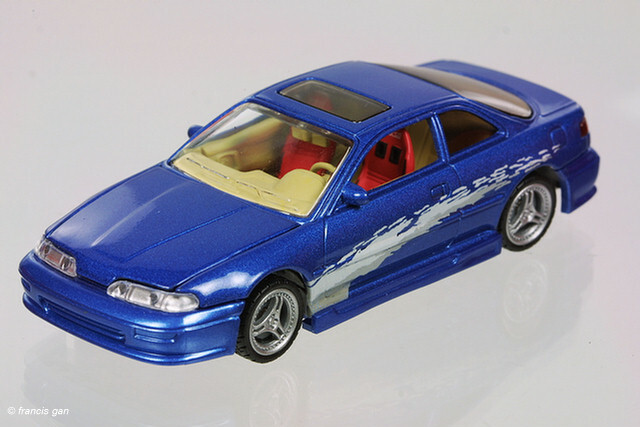 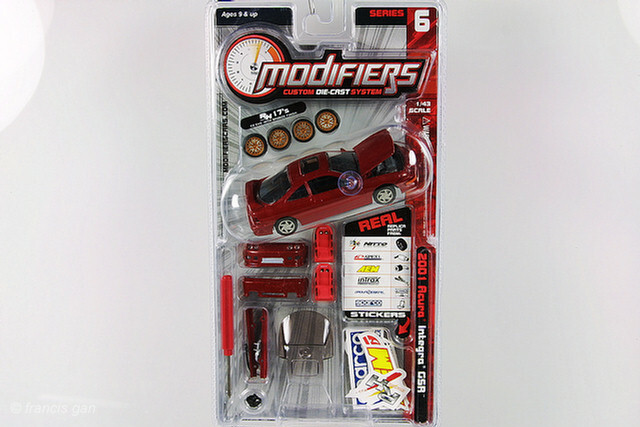 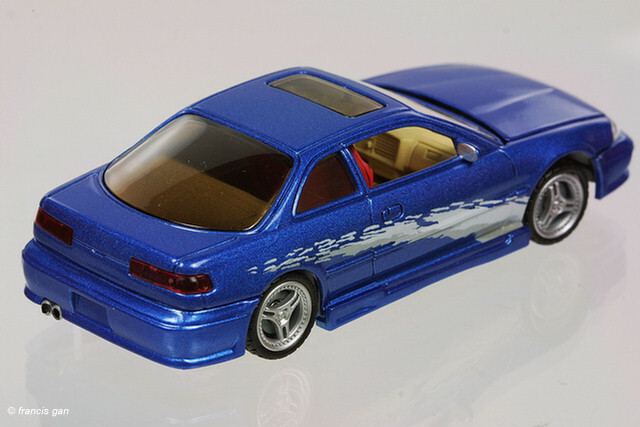 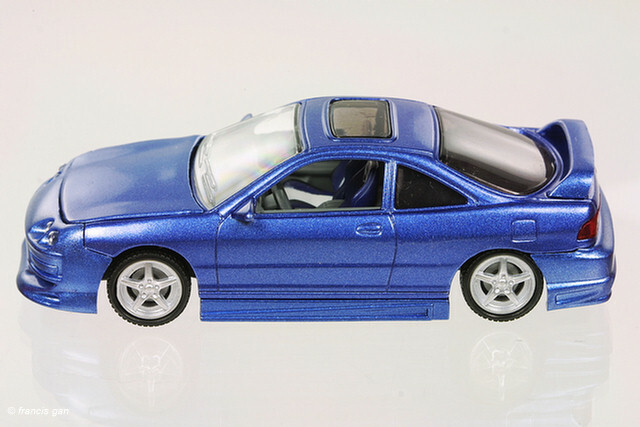 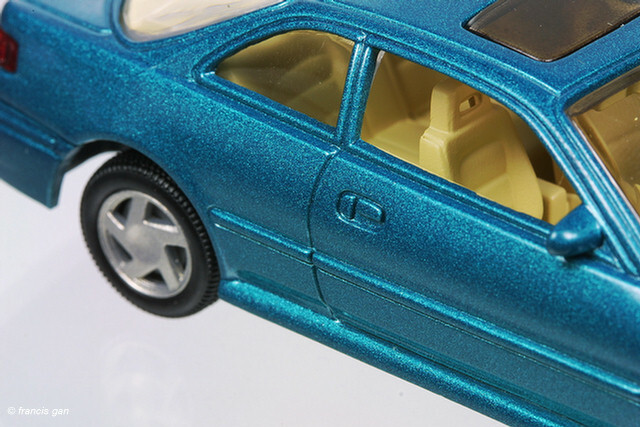 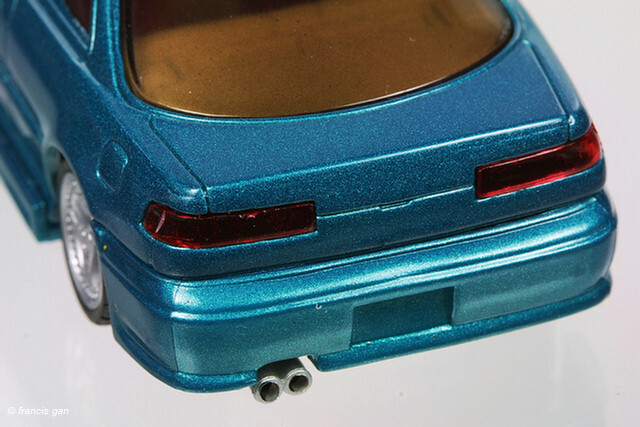 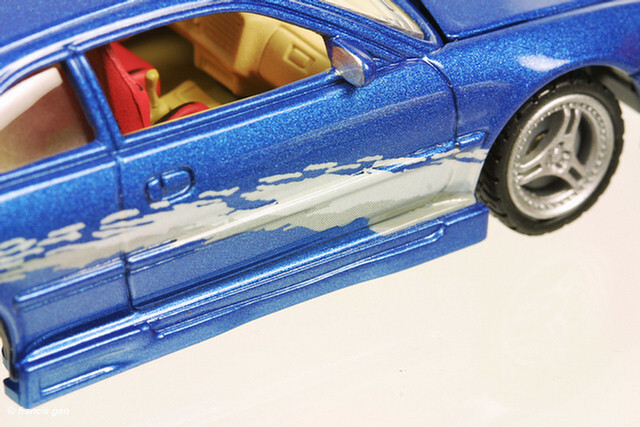 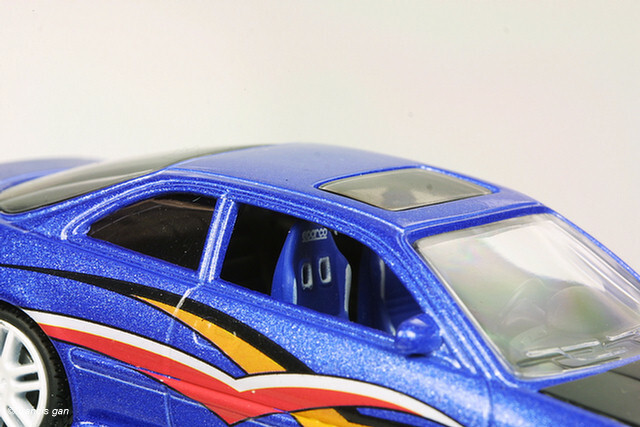 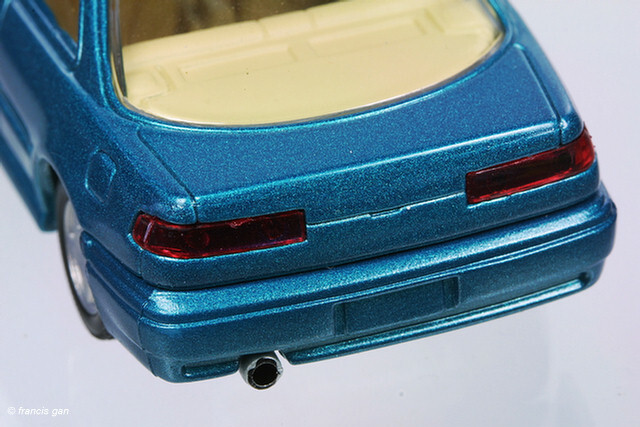 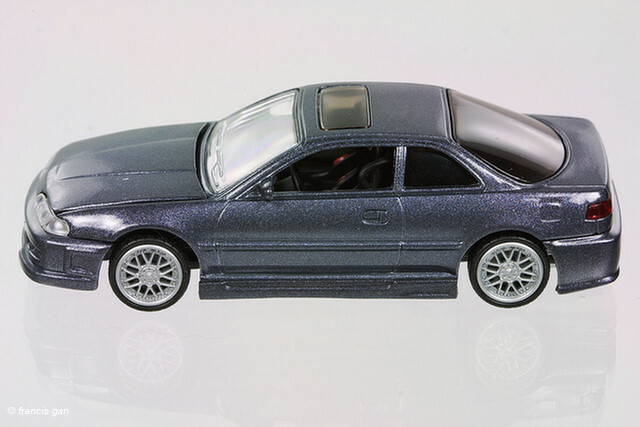 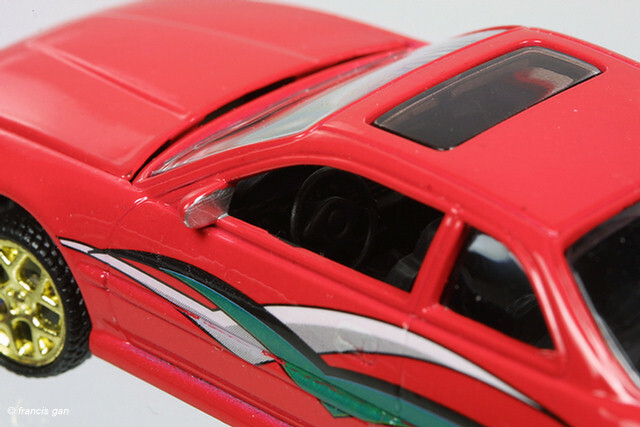 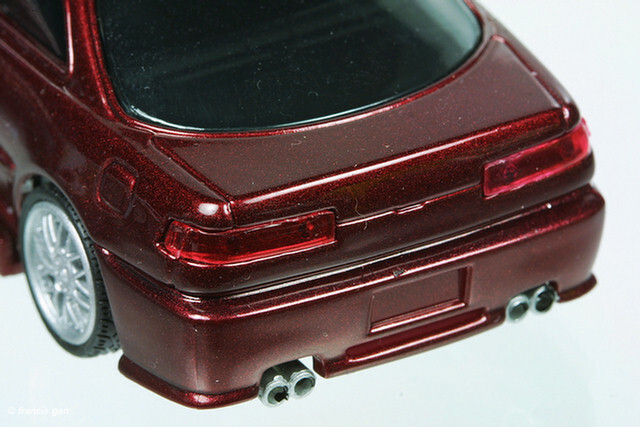 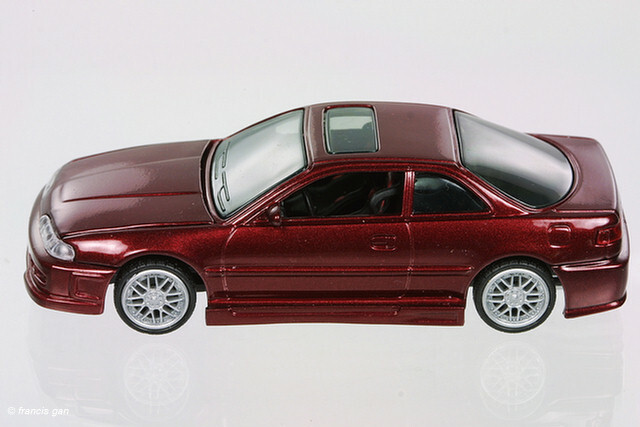 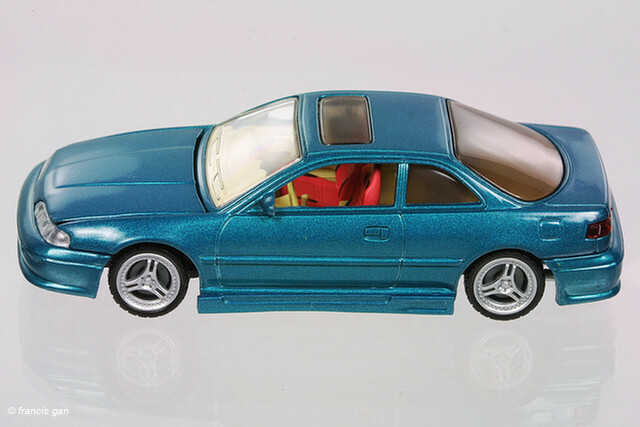 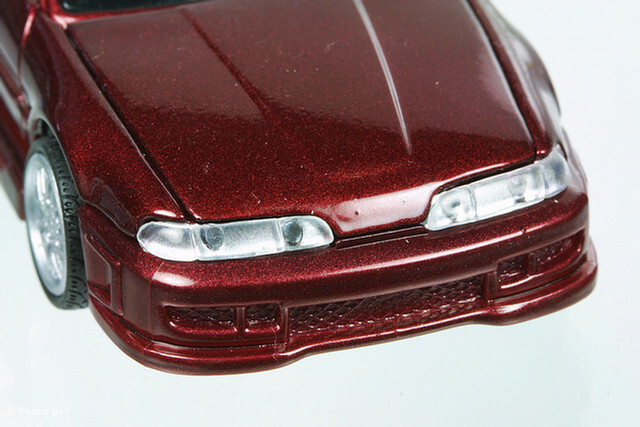 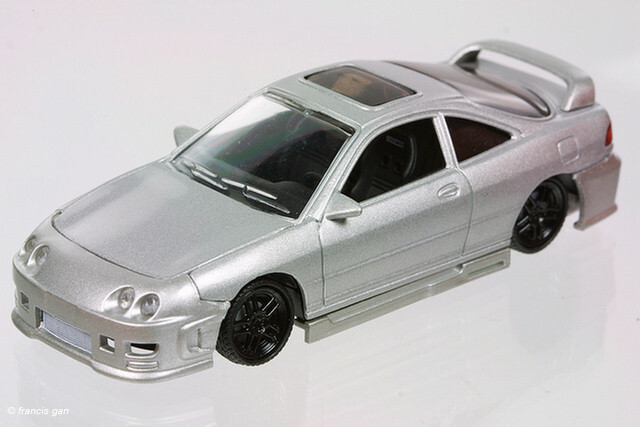 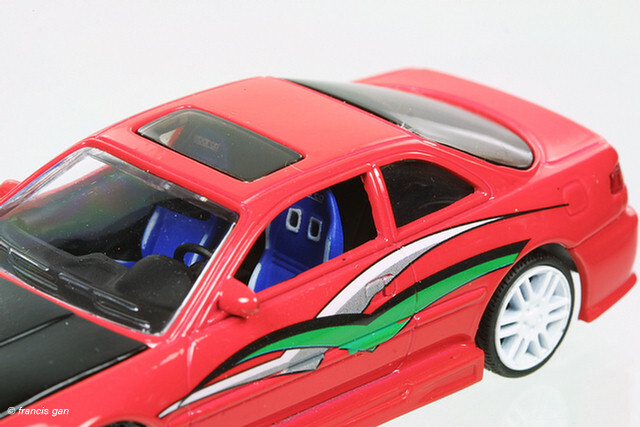 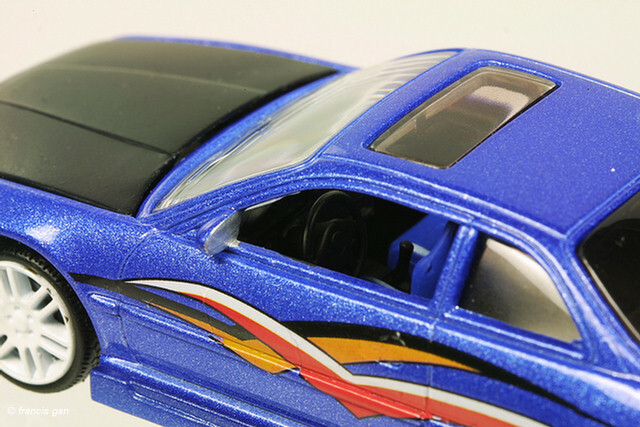 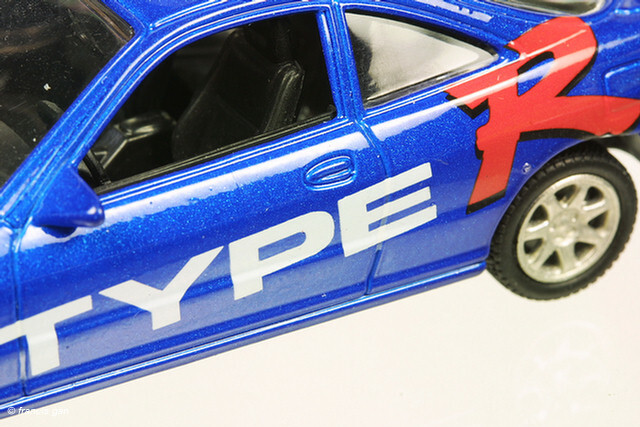 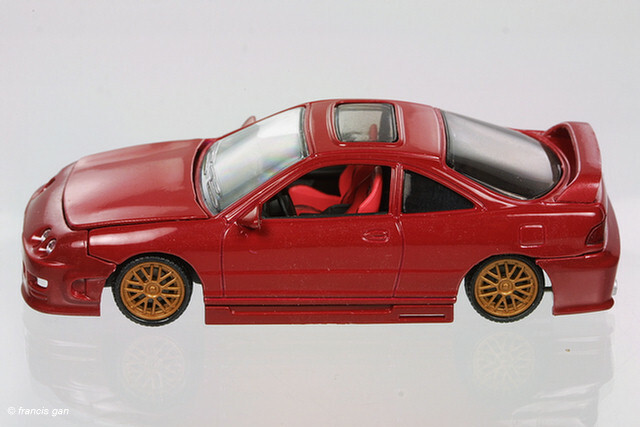 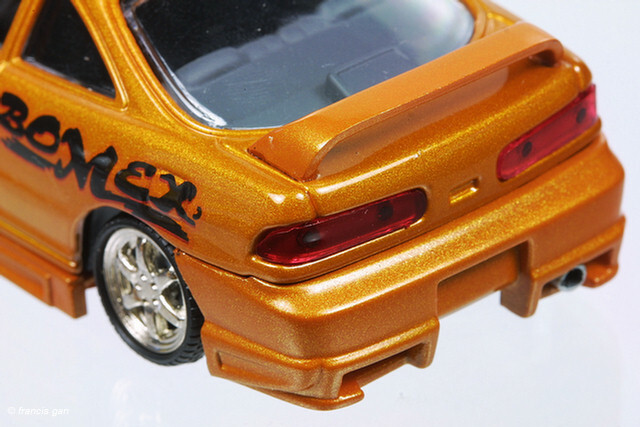 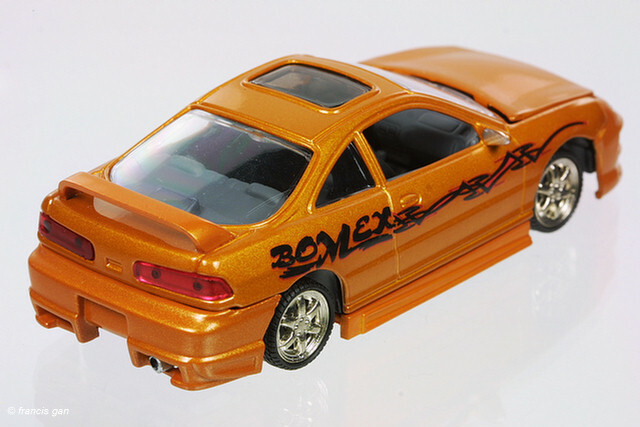 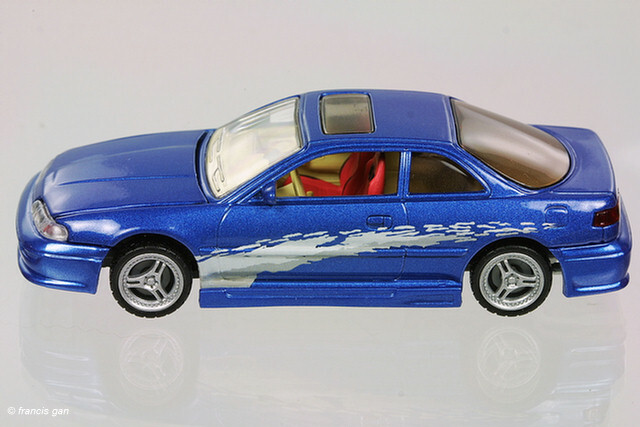 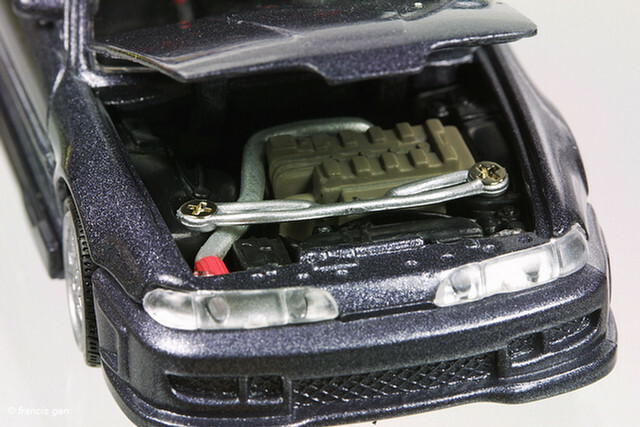 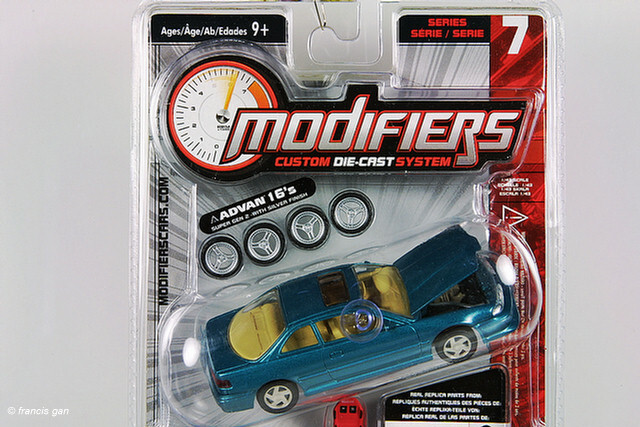 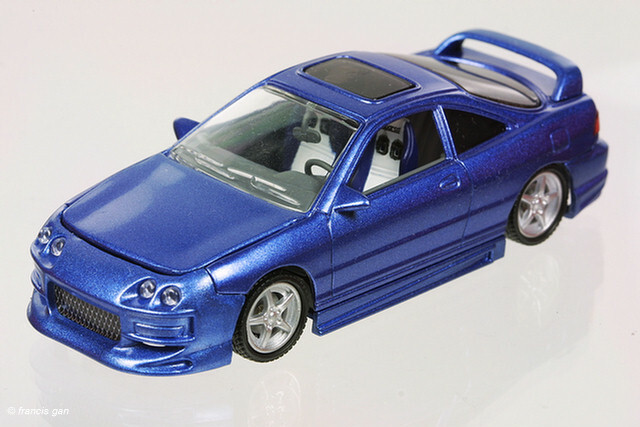 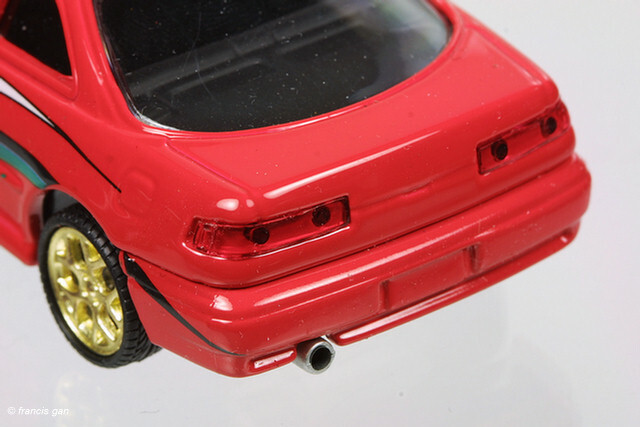 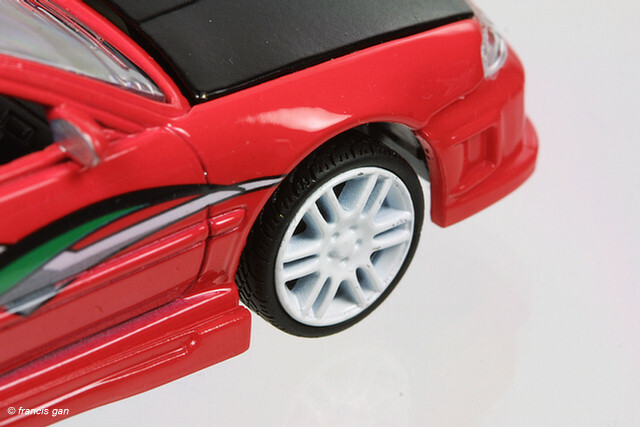 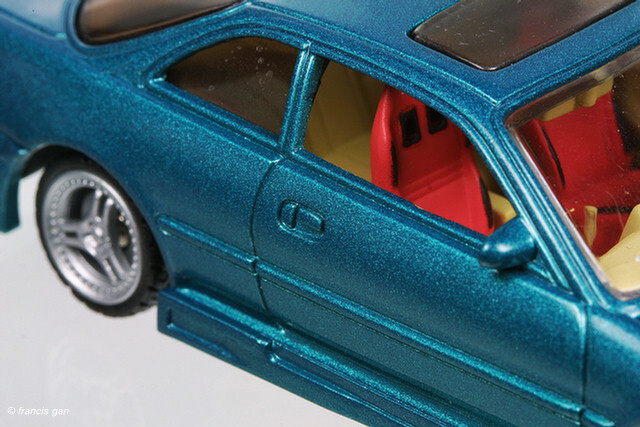 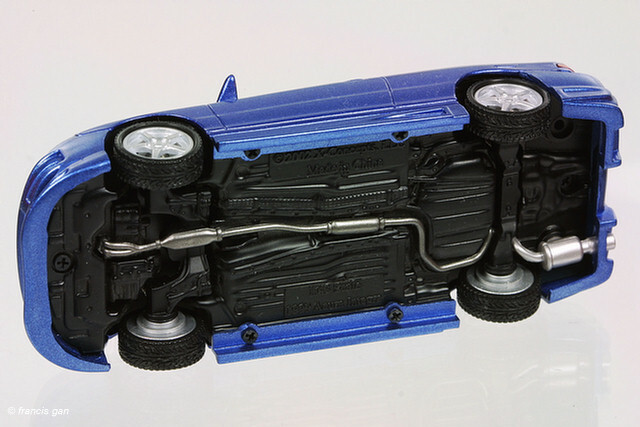 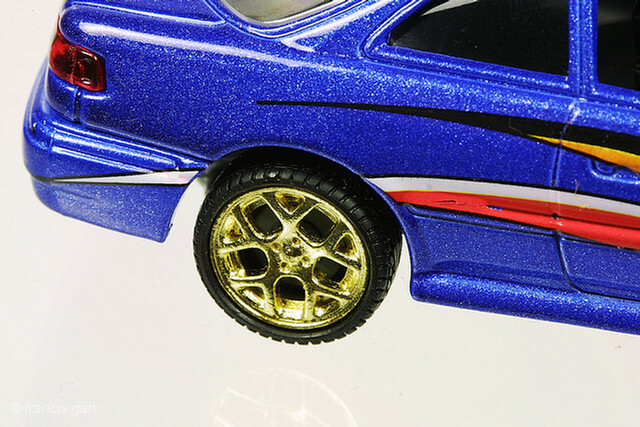 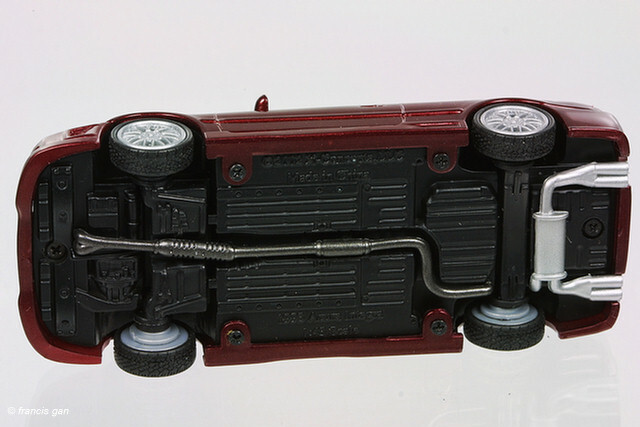 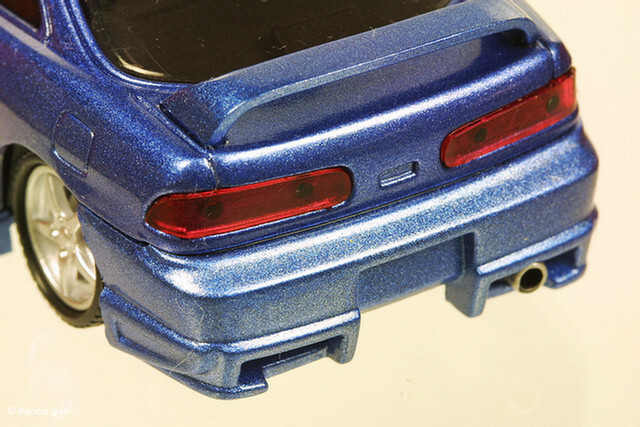 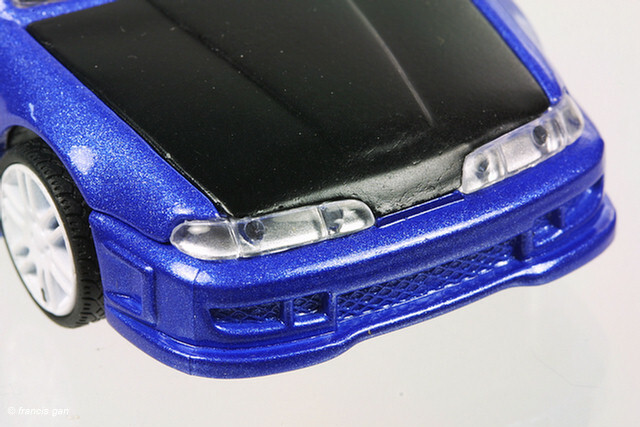 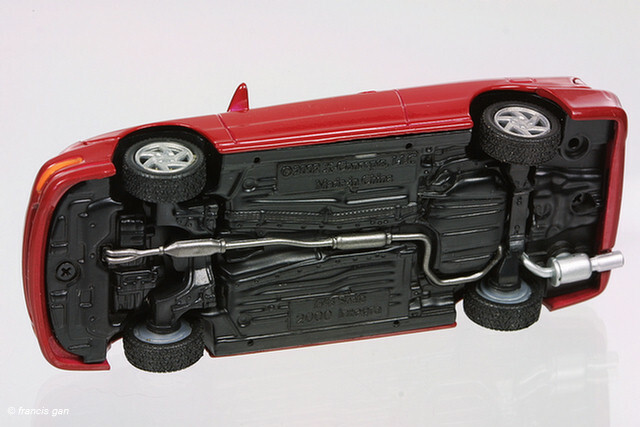 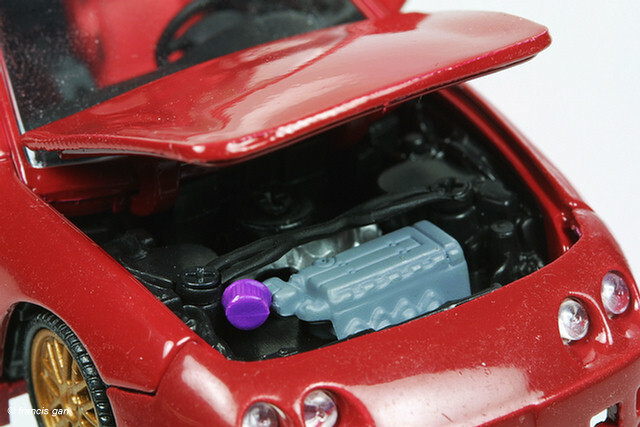 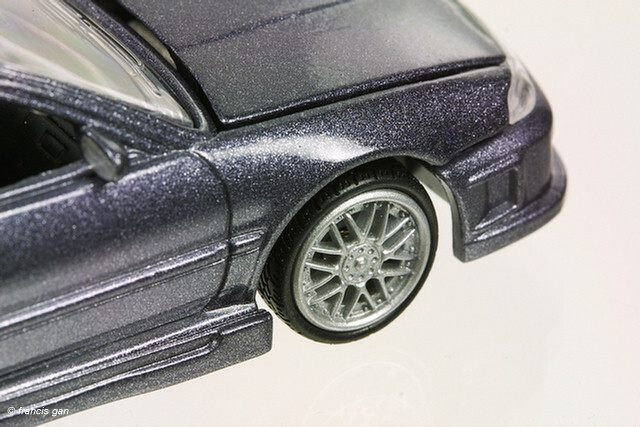 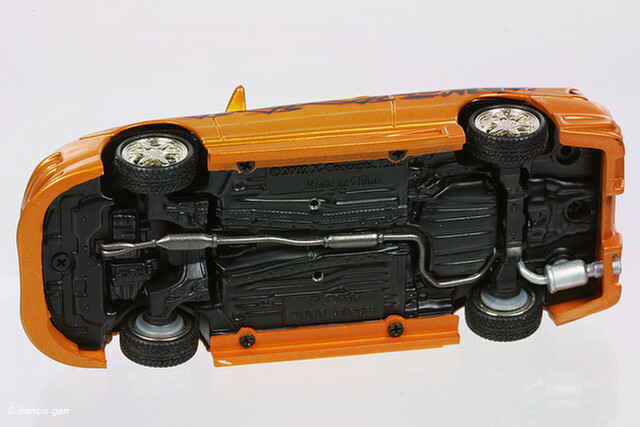 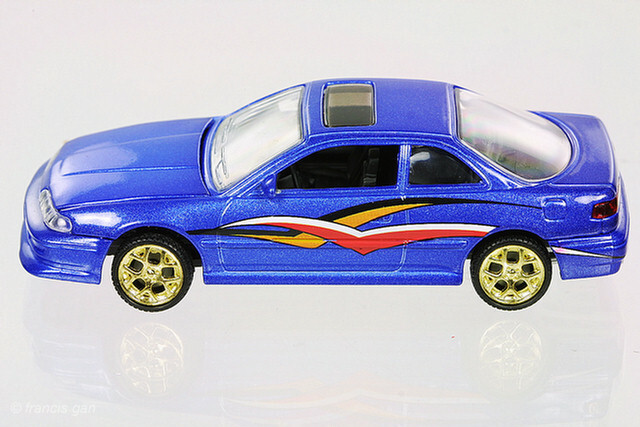 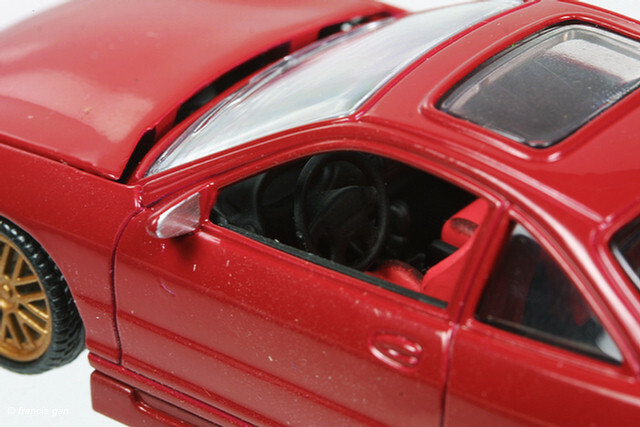 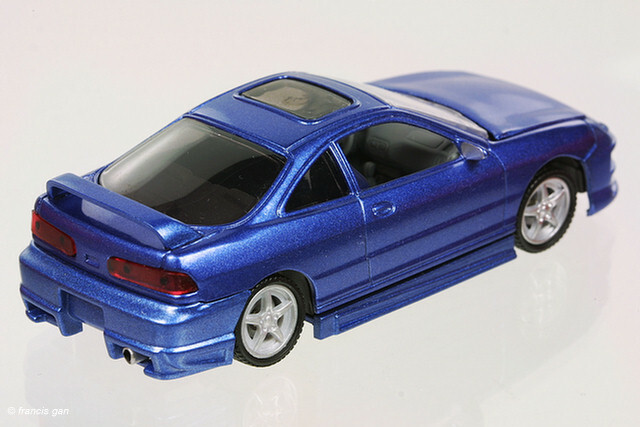 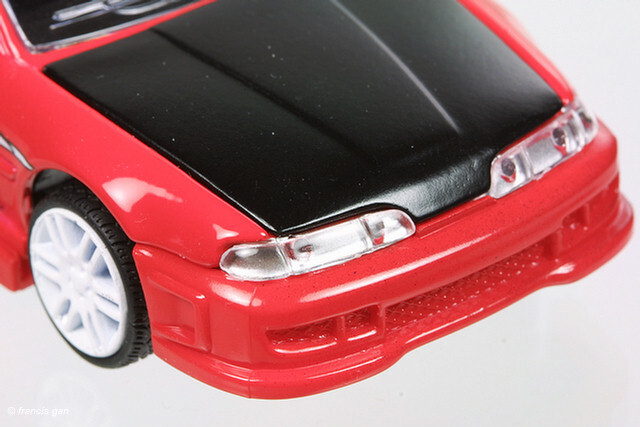 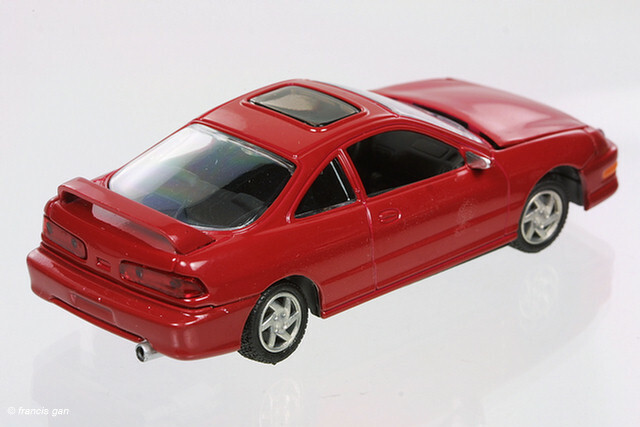 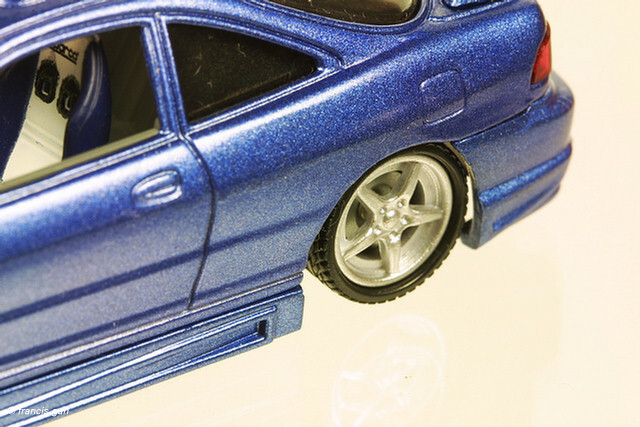 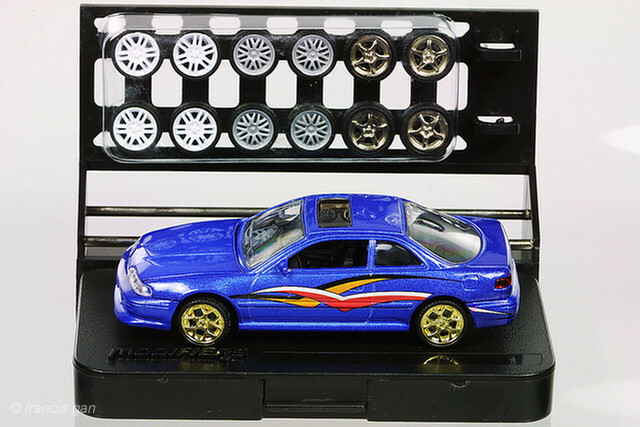 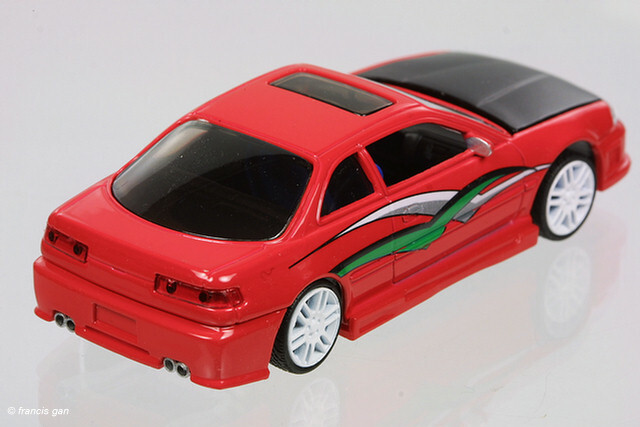 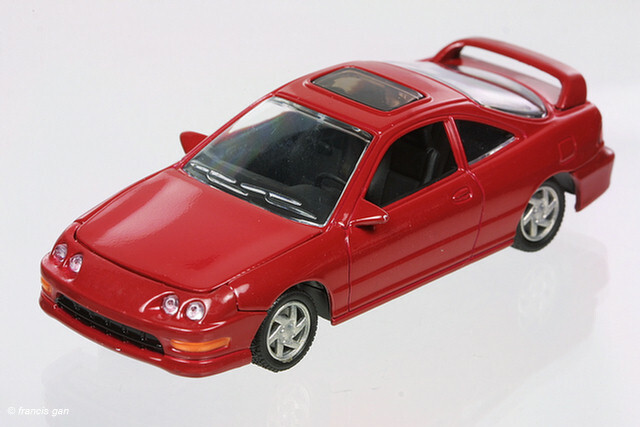 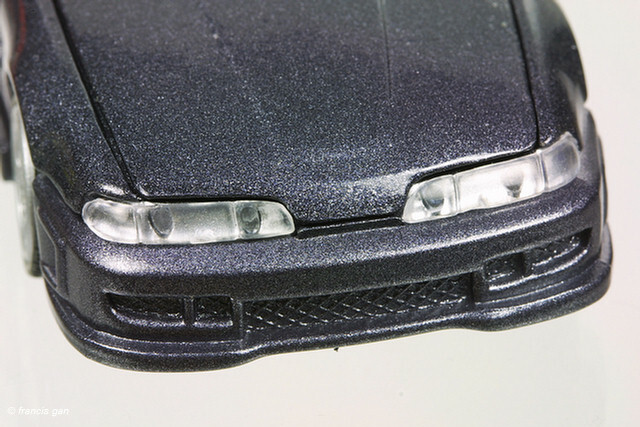 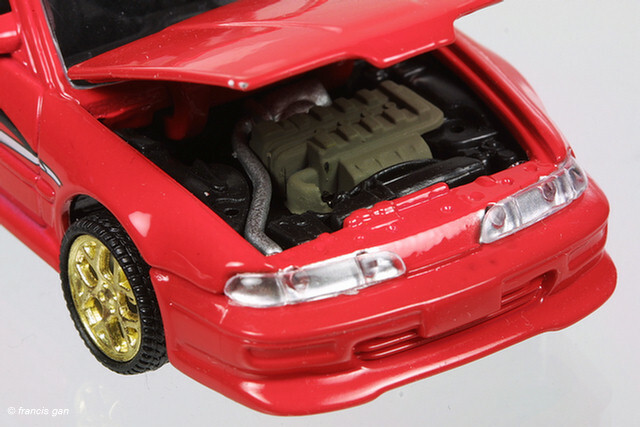 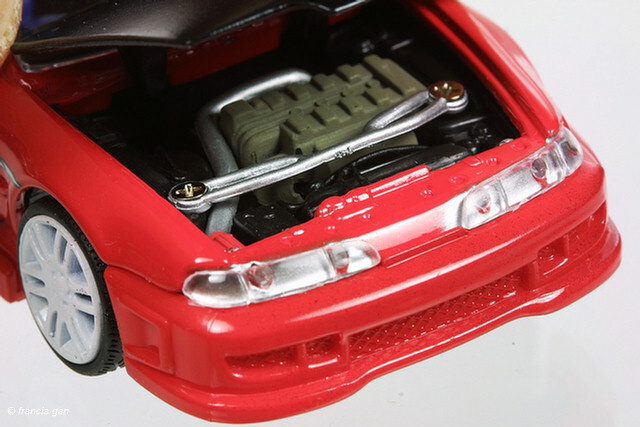 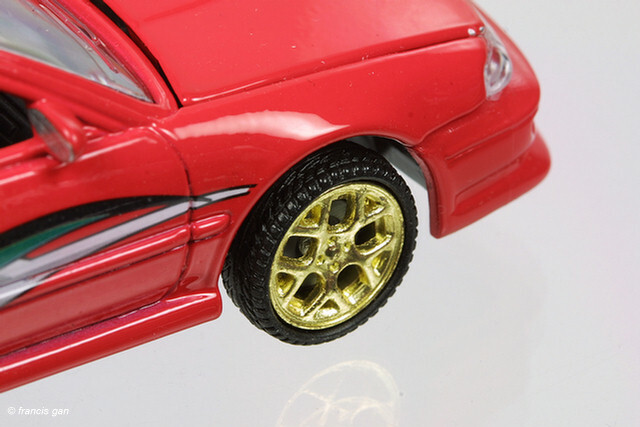 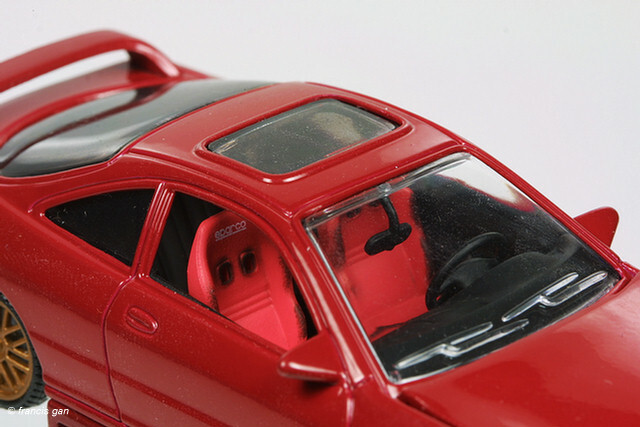 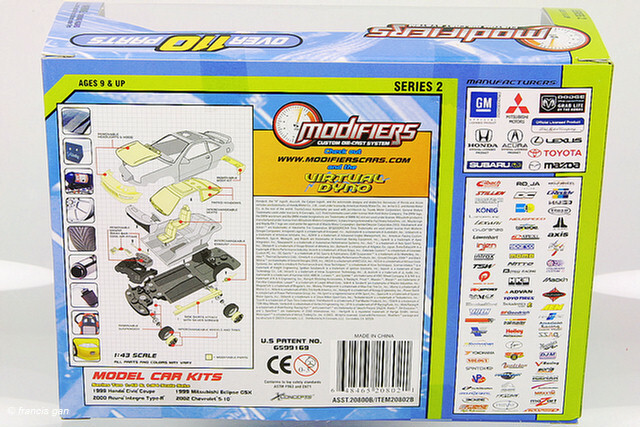 These are the Integra from the Modifiers kit - containing both the 1:43 and 1:64 cars in a dark red metalliccolor. 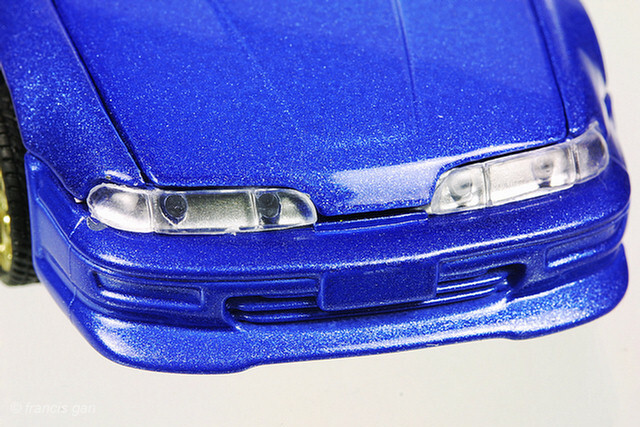 Please see the review on the Del Sol's for more information about the kit.